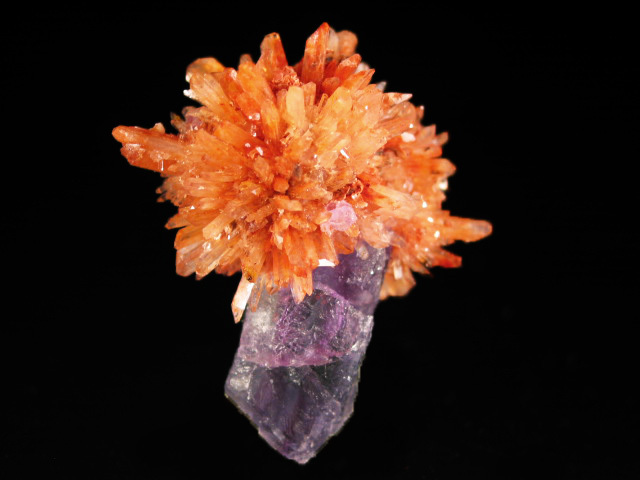 A mix of specimens from this year's Tucson show. 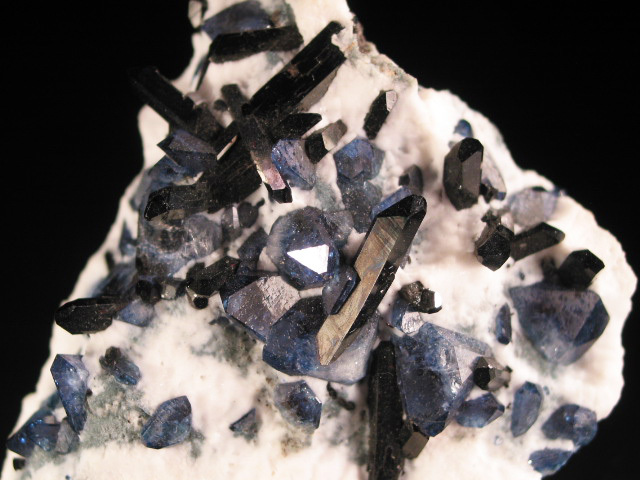 An old and very rich example of this highly sought after combination-- benitoite crystals with neptunite, from the only locality known to have produced displayable examples (there is a second locality in Japan that produces micromounts). 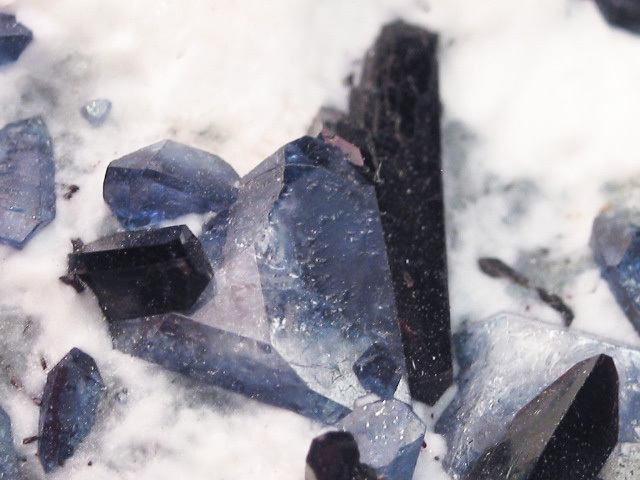 This piece has numerous crystals of both species-- including one benitoite that is nearly triply terminated (if it isn't, it certainly looks like it is-- see the closeup image.) 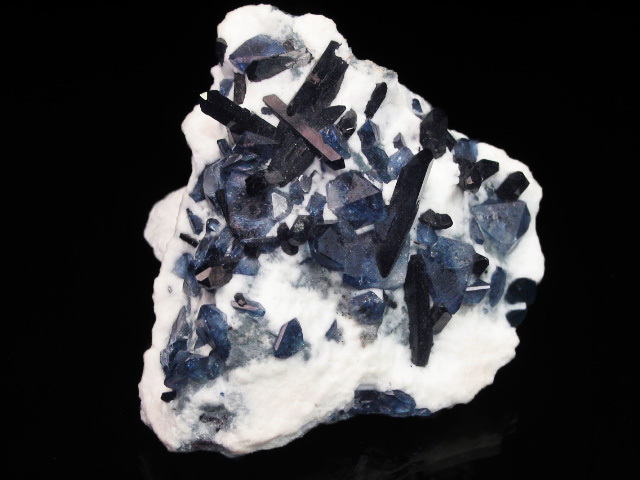 Another plus, is that you cannot see the underlying blue schist-- the benitoite is usually etched out of the white natrolite, and on lower quality examples, this process is allowed to continue until the rock matrix is visible. 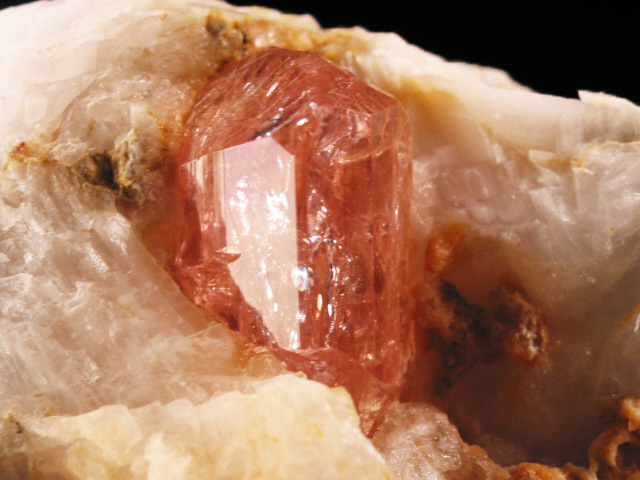 Tis location has been worked by several owners since the early 1900's, though the last major mining effort took place around 2004. 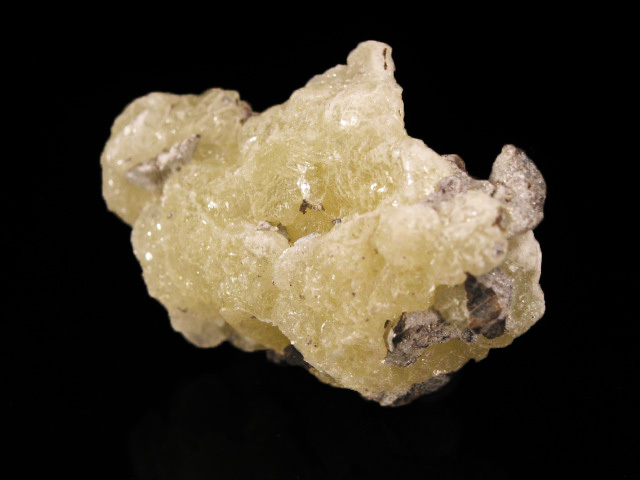 Since then most of the specimens brought to the market tend to be lower grade-- often with the natrolite etched too far, or with significant damage to the benitoite, as the pieces were recovered and prepared from mine tailings. 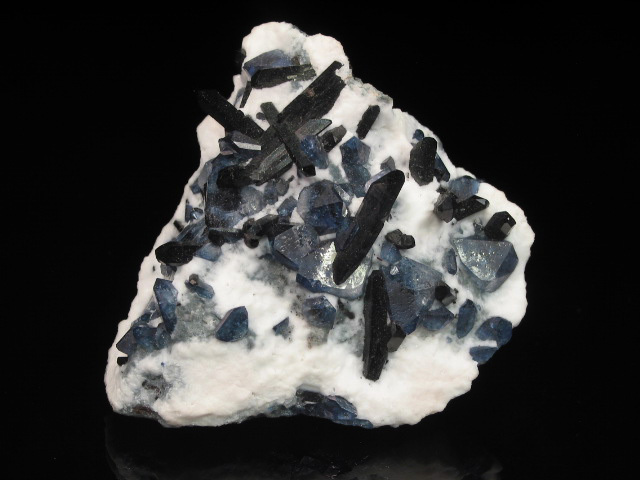 Benitoite has been the the state gem of California since 1985. 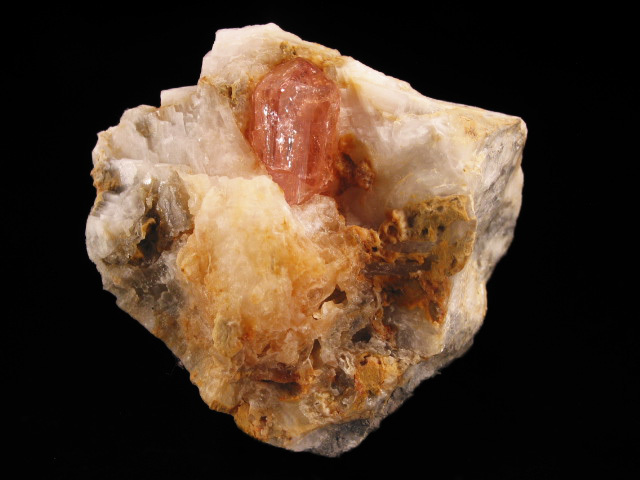 A beautiful example of creedite on fluorite-- I don't often buy these Mexican creedites as they are pretty much wholesale material, but when they are this beautiful, I cannot pass them up.... though I have only seen this beautiful arrangement a couple times. 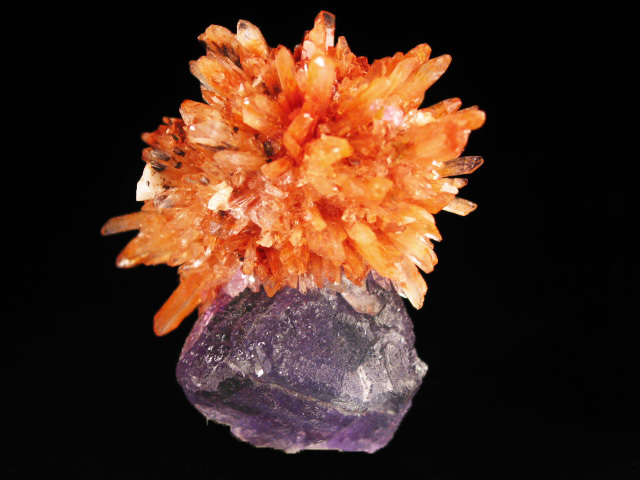 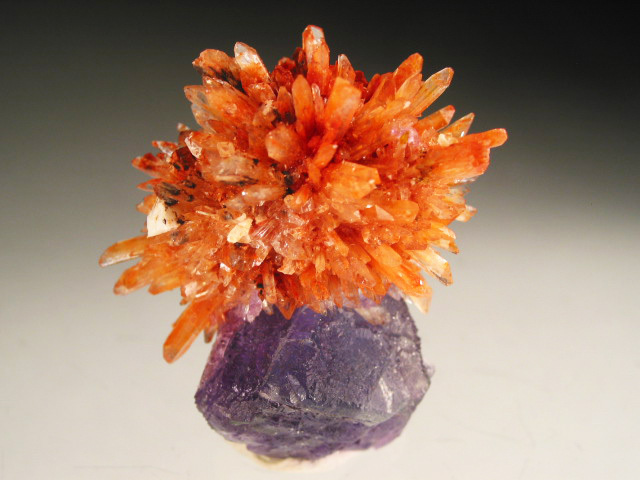 The vast majority of Mexican creedites tend to be spiky clusters of orange crystals of varying sizes, and if there is any fluorite, it will usually be a few bits of etched green or purple crystals on the creedite. 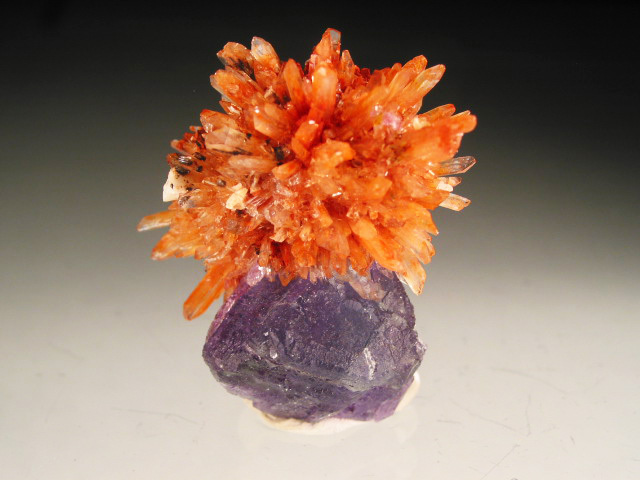 This piece though, is a perfectly balanced miniatture/ small cabinet, with obvious aesthetics. 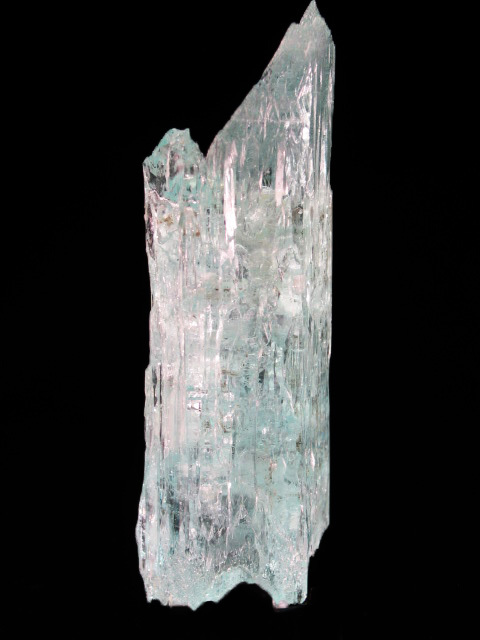 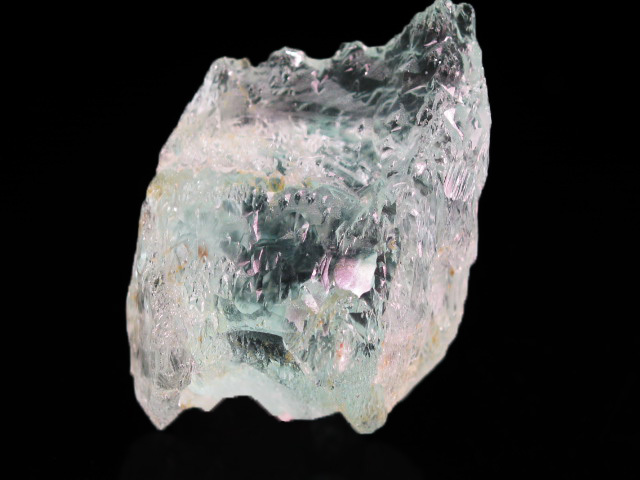 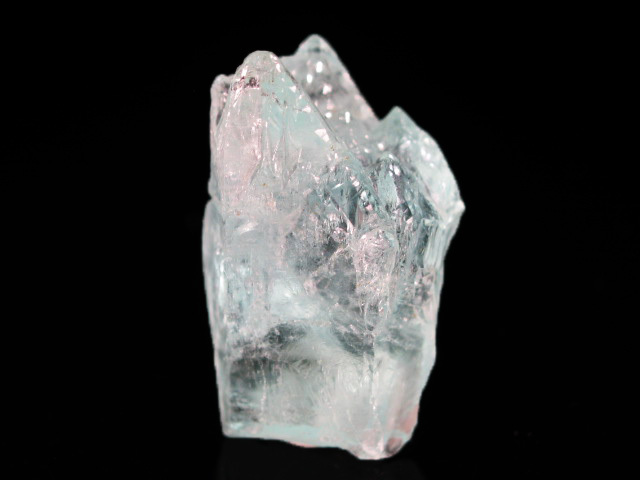 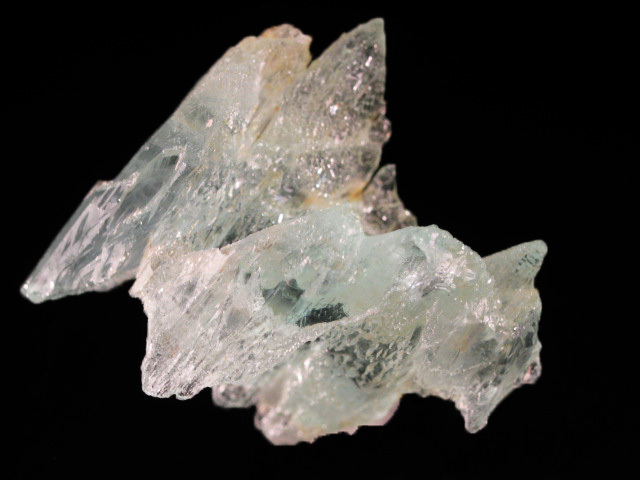 A large, etched, doubly terminated crystal of aquamarine with good color, especially when viewed down the C-axis. 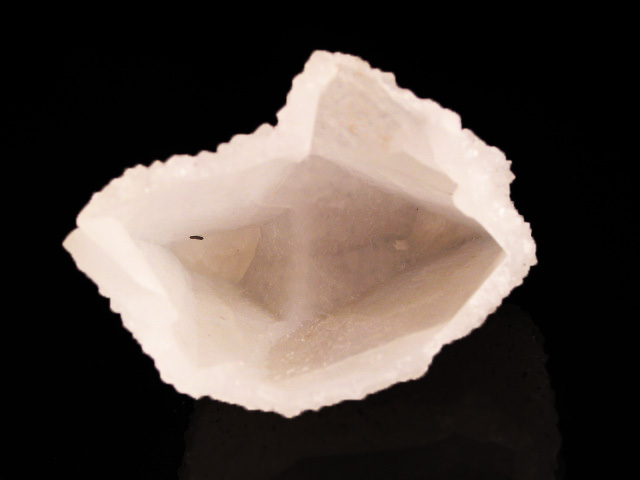 It does have some inclusions and hollow pockets, but displays exactly as shown, and the etching gives is a particularly dramatic termination. 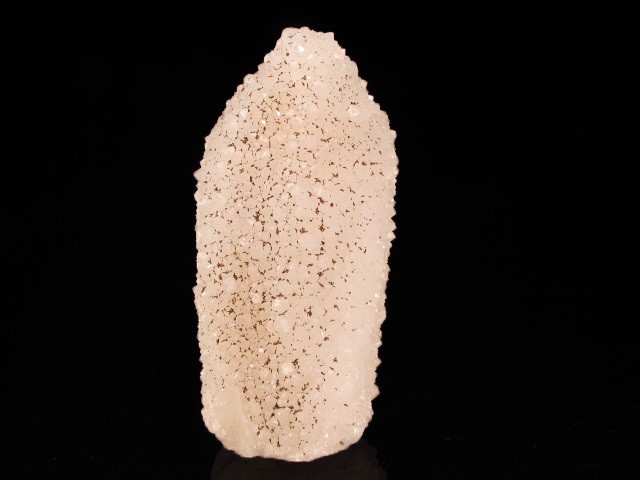 Compared to the pieces I've been seeing around, I think this is actually pretty cheap for what you get. 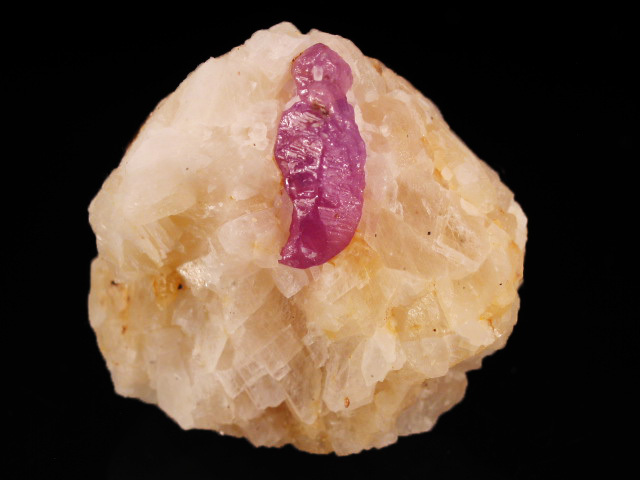 A nice nearly complete alexandrite sixling on a bit of matrix, making for a superbly well balanced thumbnail/ toenail sized specimen. 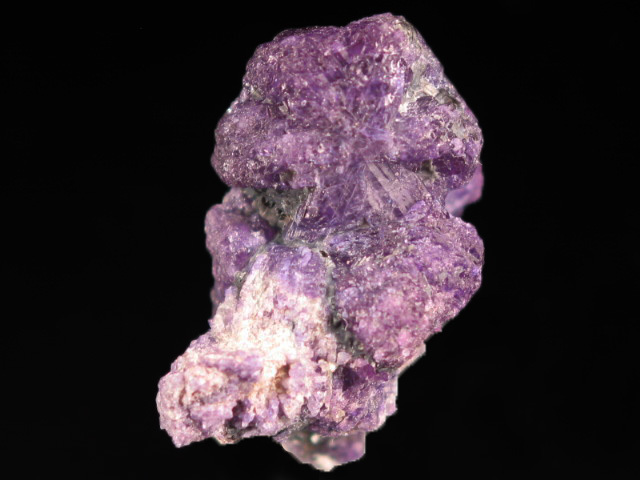 In real life, the color is a dark green-- for whatever reason, the combination of the Alexandrite's optical properties and the camera's sensors makes it appear light purple. 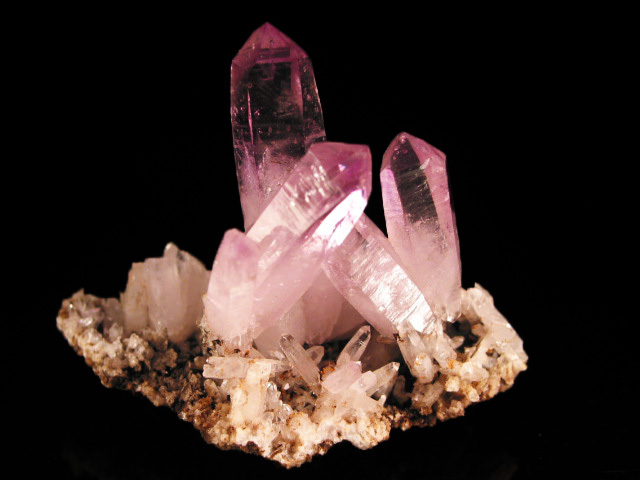 In sunlight or under a daylight equivalent bulb, it will appear a more crisp grass green, then duller green to purple (especially near the very top) under incandescent. 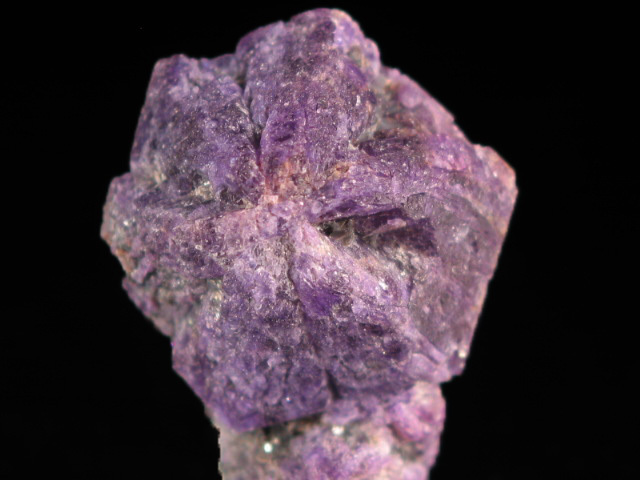 The color change to purple is not visible on the whole specimen, despite what the images show. 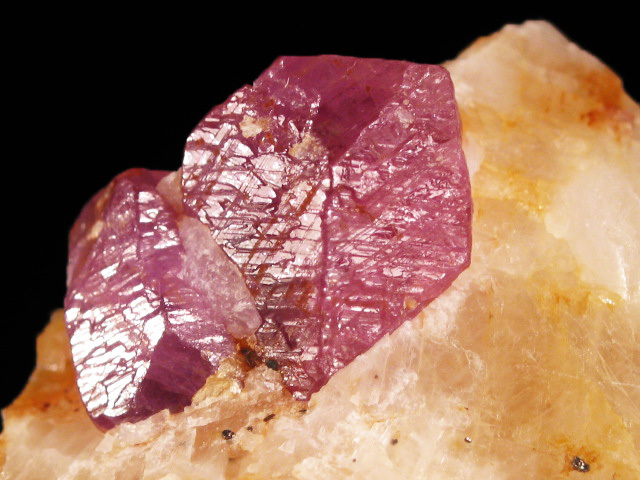 This is a very beautiful miniature, and the recent finds at this location have actually make a sixling alexandrite fairly obtainable-- in previous years good examples were nearly impossible to find (except from Brazil, though the quality has never been quite as good) and always prohibitably expensive. 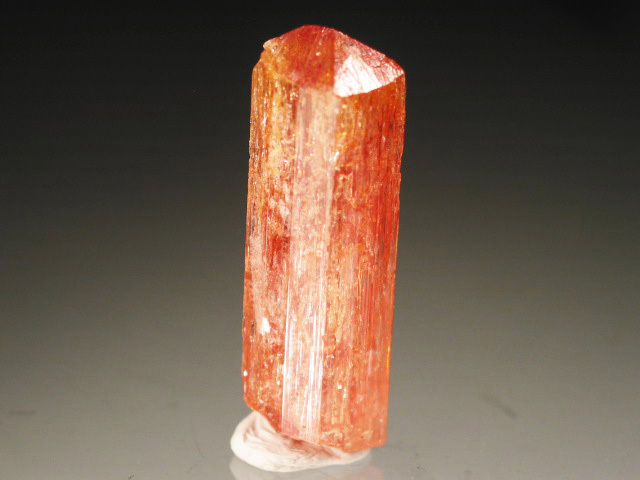 This isn't exactly cheap either, but compared to what you might pay for a Russian example of lesser quality, this is quite good. 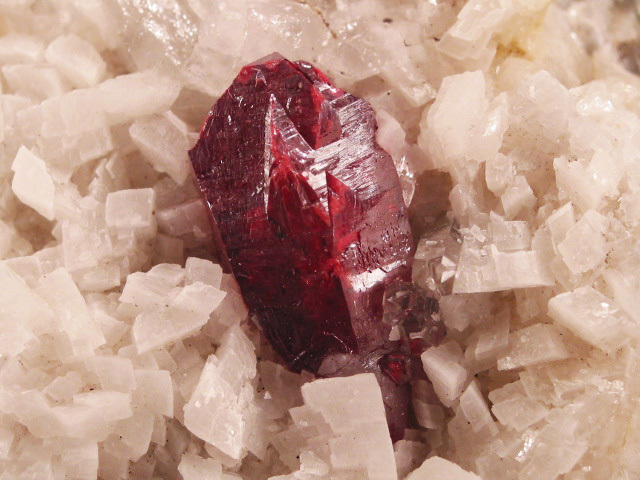 NOTE: the final image with the stark color contrast will NOT be observable with your naked eye. 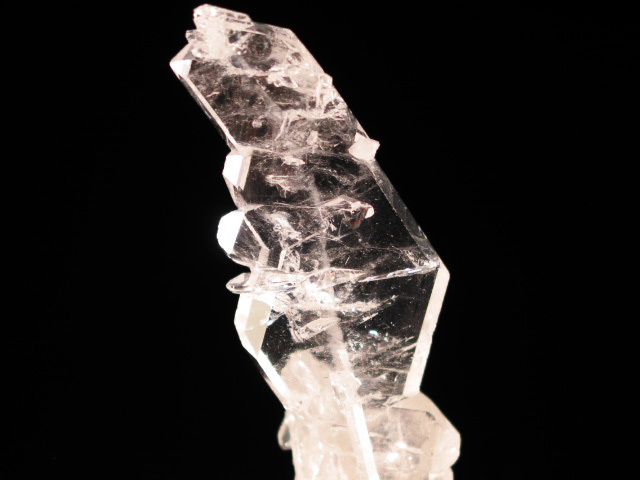 This was done by shining a daylight equivalent LED on the piece, while lighting from a different direction with an incandescent bulb. 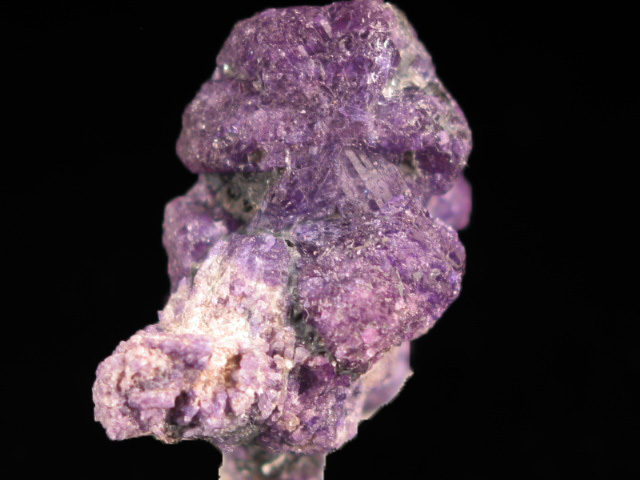 The camera only picks up the purple (which is really a dark purplish green to the naked eye) while the LED brings out the crisp green on the upper half of the specimen. 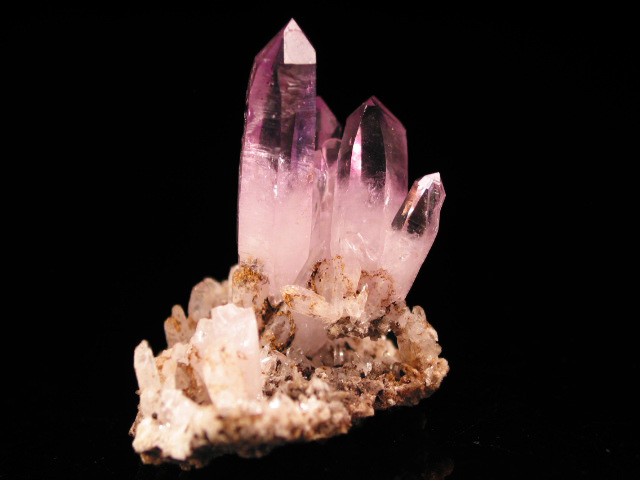 You will be able to see the green if you use a dalight equivalent bulb, but not the lavender/ purple. 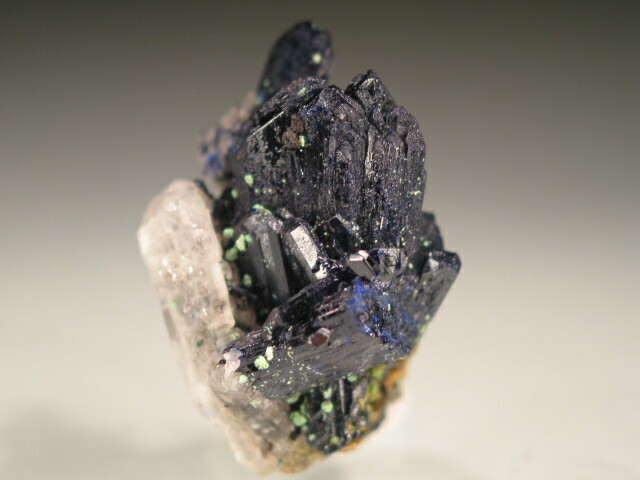 A nice nearly complete alexandrite sixling on an alexandrite and schist matrix. 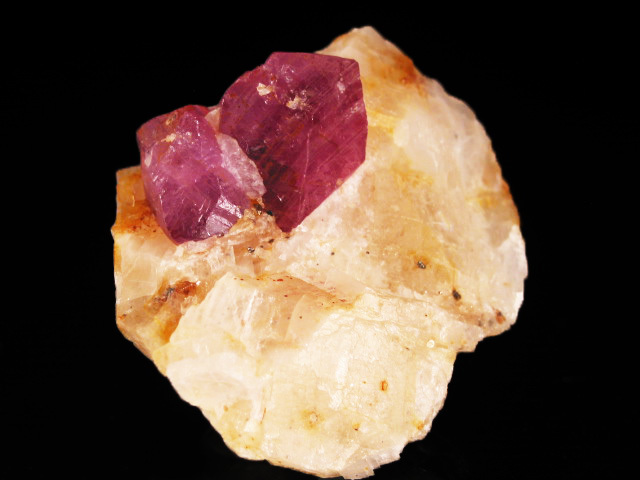 In real life, the color is a dark green-- for whatever reason, the combination of the Alexandrite's optical properties and the camera's sensors makes it appear light purple. 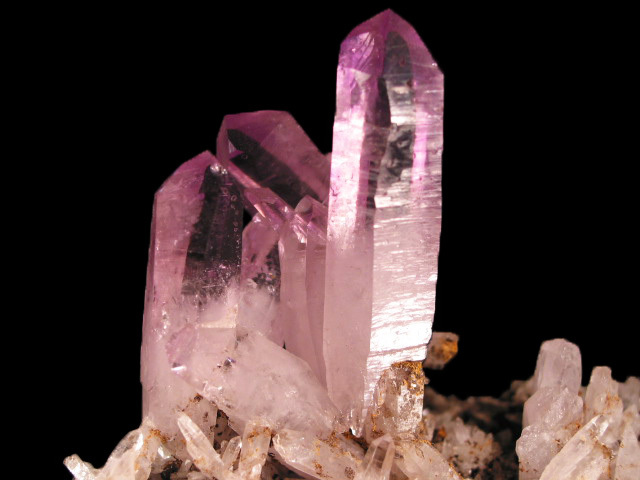 In sunlight or under a daylight equivalent bulb, it will appear a more crisp grass green, then duller green to purple (especially near the very top) under incandescent. 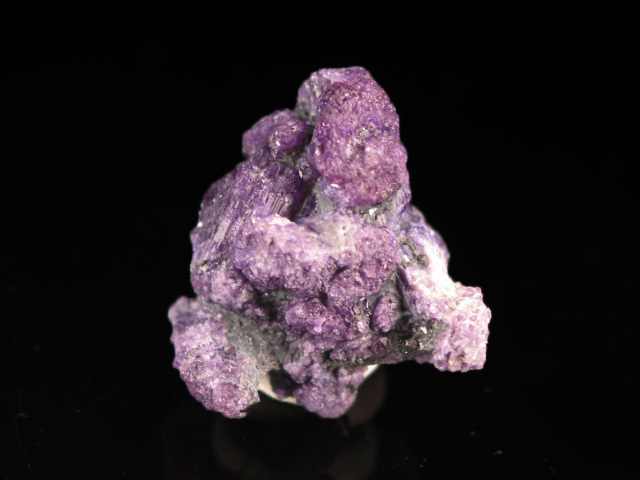 This is a very nice miniature, and the recent finds at this location have actually make a sixling alexandrite fairly obtainable-- in previous years good examples were nearly impossible to find (except from Brazil, though the quality has never been quite as good) and always prohibitively expensive. 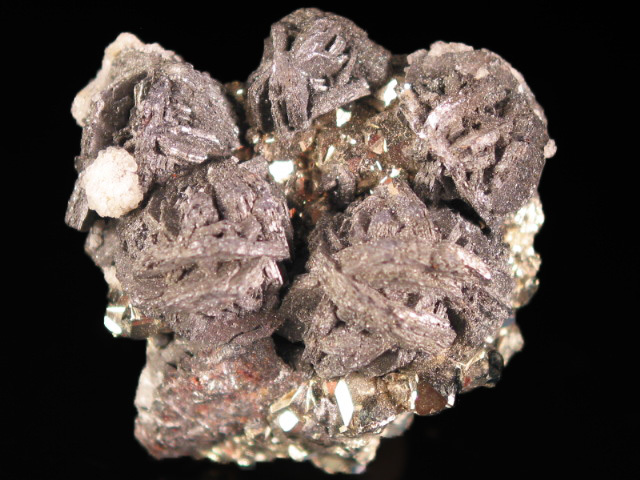 This isn't exactly cheap either, but compared to what you might pay for a Russian example of lesser quality, this is quite good. The color change on this one is pretty good. 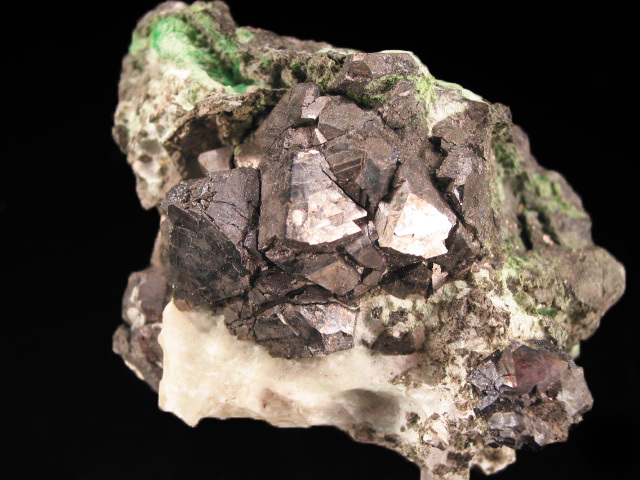 An excellent small cabinet specimen form the 1980's finds at the Bunker Hill Mine. 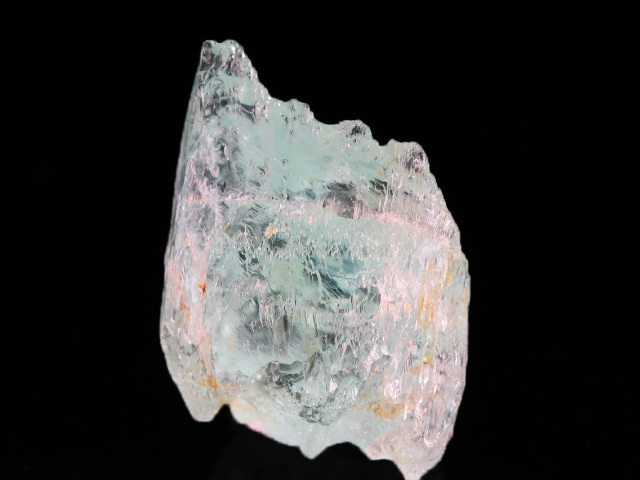 This piece has a highly saturated color, and the much sought afetr "wet" luster. 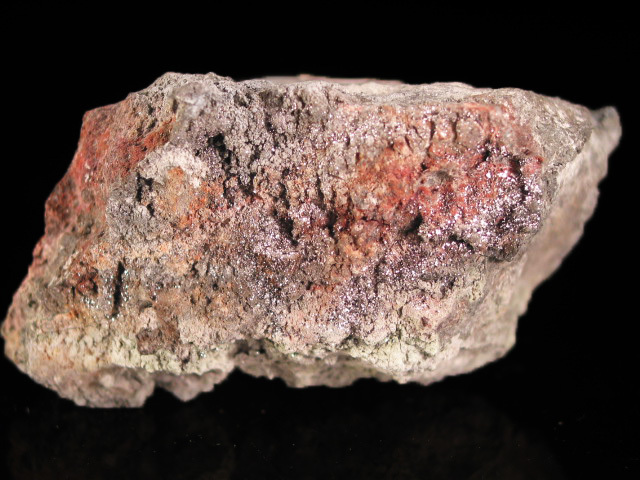 This is a classic specimen from a classic American locality, that also happens to be a superfund site. 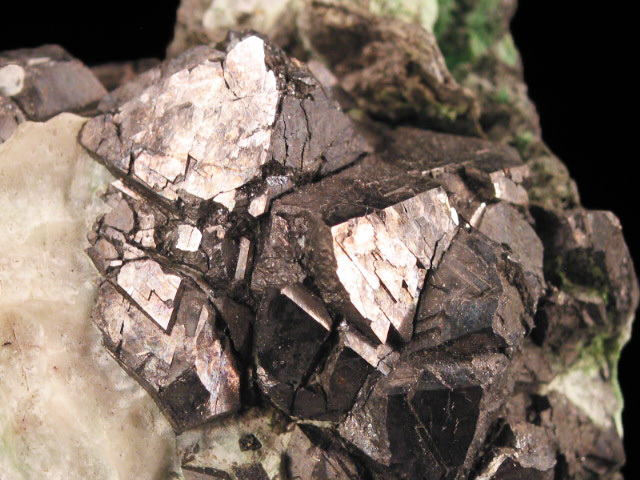 A few years ago the mining company ASARCO agreed to pay 1.8 billion USD to clean up various contaminated sites in the US, of which over $400 million was earmarked to fix damage caused by the Bunker Hill Mine and its smelter, which contaminated a lake and poisoned a river, among other things. 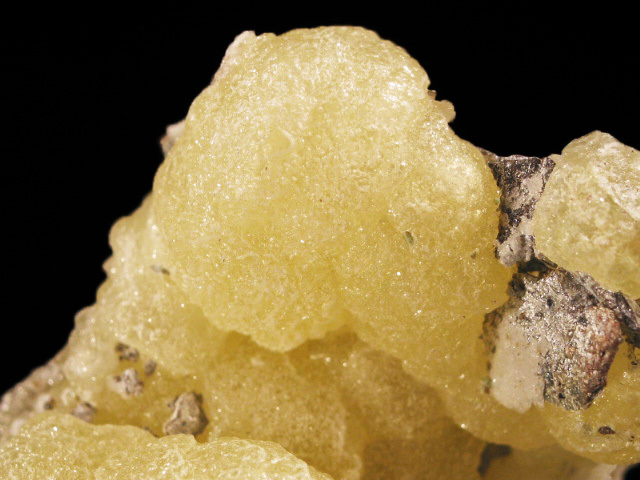 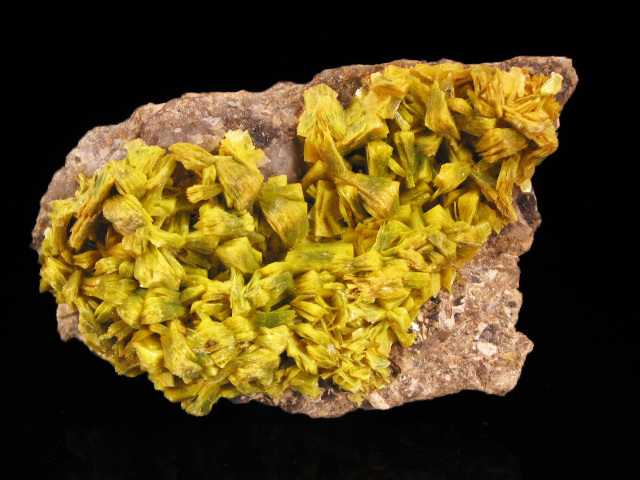 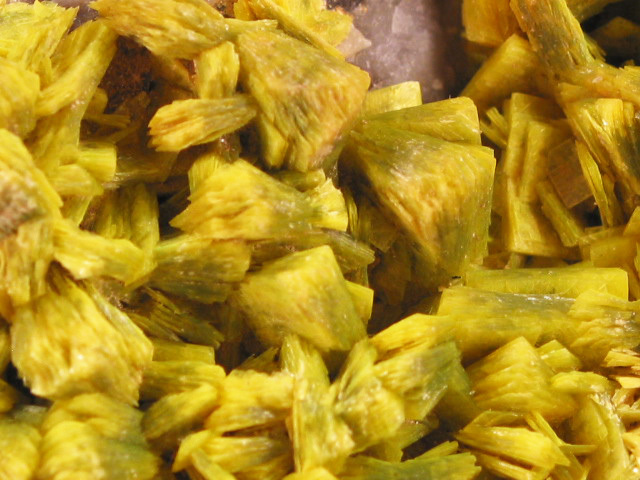 BUT there is a silver lining to this story: we mineral people got some really great pyromorphite. 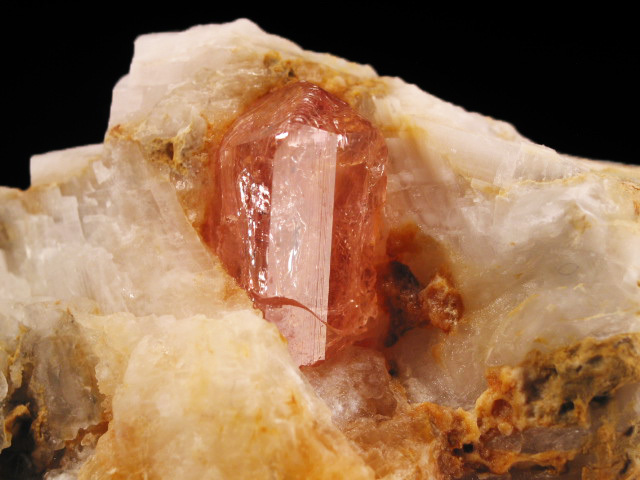 A nice example of pinkish red corundum from the Jagdalek ruby mine. 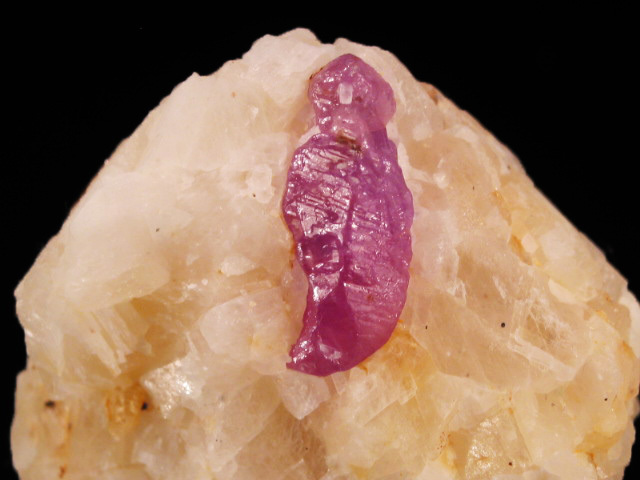 In gemmological cirlces this would probably be called a "pink sapphire" but mineral people tend to name things based on locality, and corundum from Jagdalek is usually called ruby. 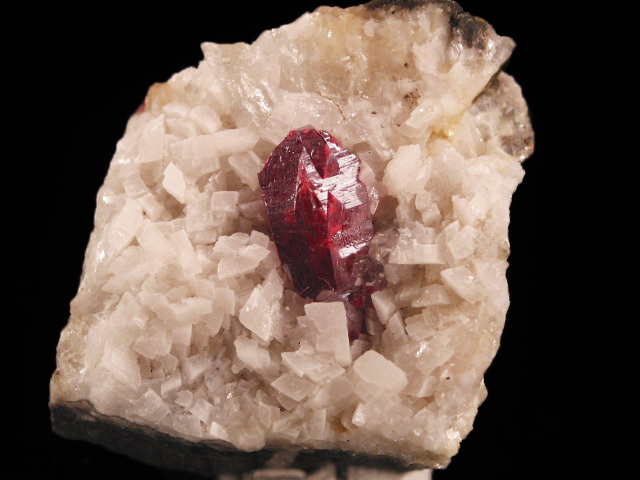 Regardless, this is a great example, with two fairly sharp crystals nicely positioned on a marble matrix. 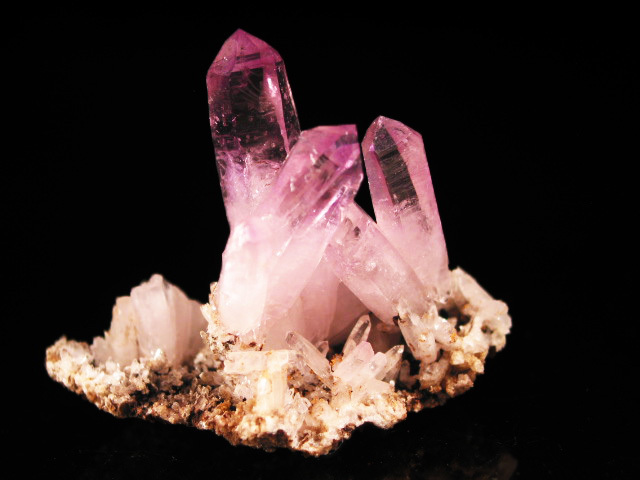 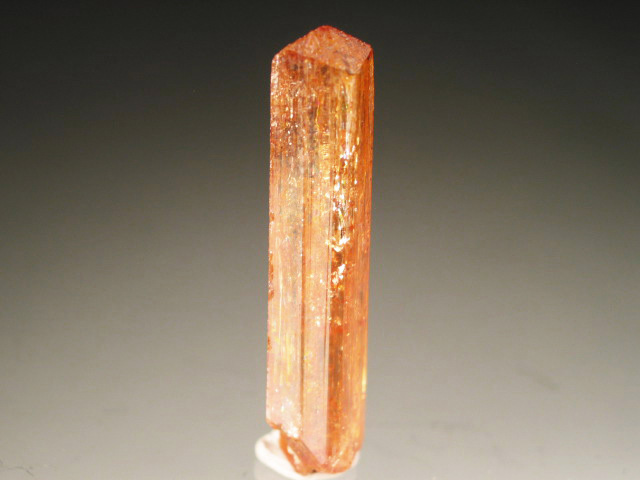 The crystals fluoresce a bright orange-red under longwave UV. 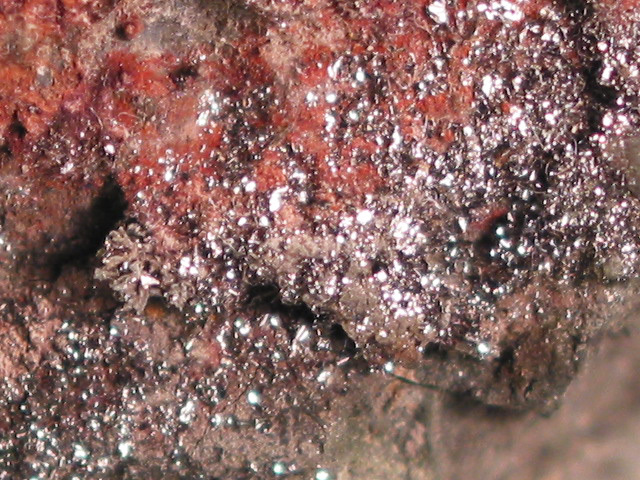 This one has a bit of contacting on the upper right-- you can see bits of dark matrix. A terminated imperial topaz crystal on a marble matrix, from Katlang. These are considered to be among the most collectible Pakistani topazes (especially when pink-- though this one is orange) and frequently command a premium over examples from other Pakistani localities, even as faceted stones. 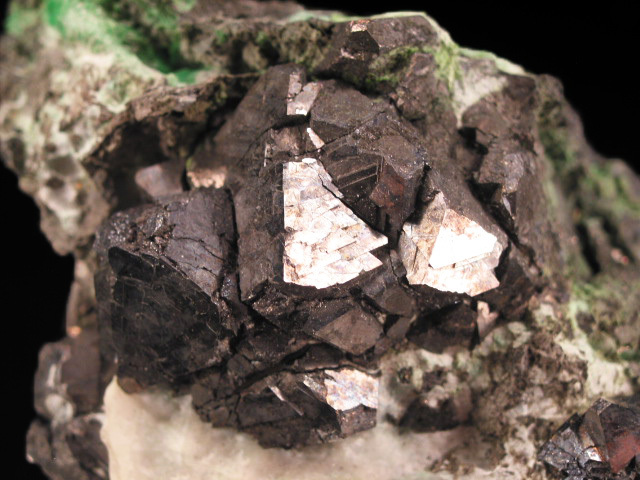 The "imperial" topazes from Katlang bear a resemblance to examples from Ouro Preto, Brazil, though differ from the Brazilian examples in that they are more often seen on matrix. 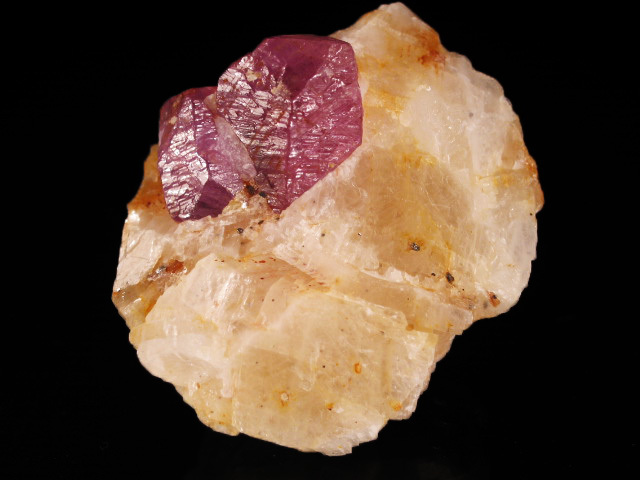 A nice example of amethyst with relatively good color near the terminations, from recent finds in Mexico. 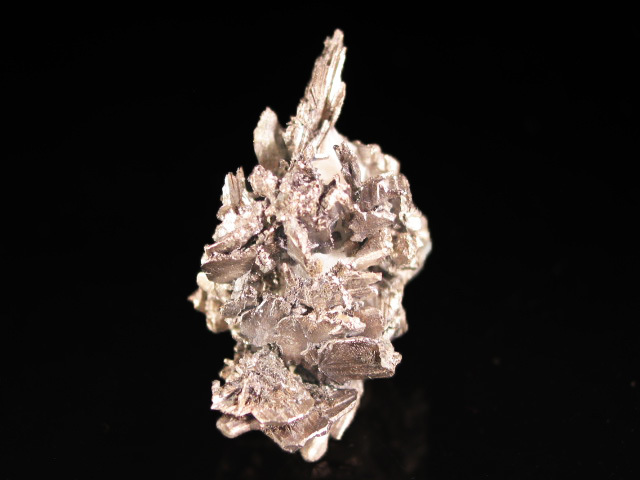 A very nice example of native silver from Morocco. 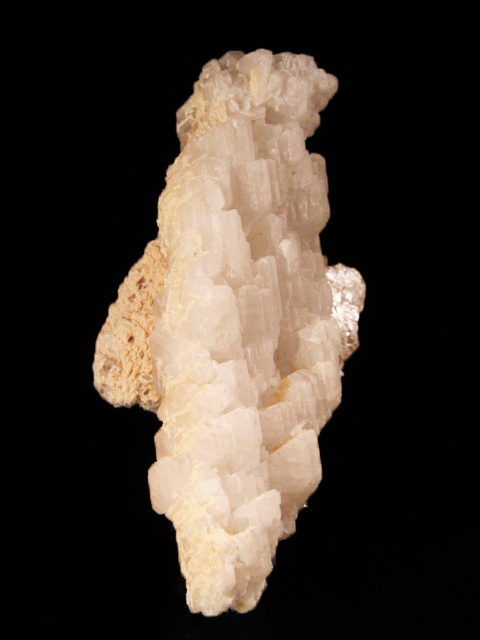 Unlike he majority of other examples from Morocco, this one is well crystallized, with the silver etched out of a calcite matrix. 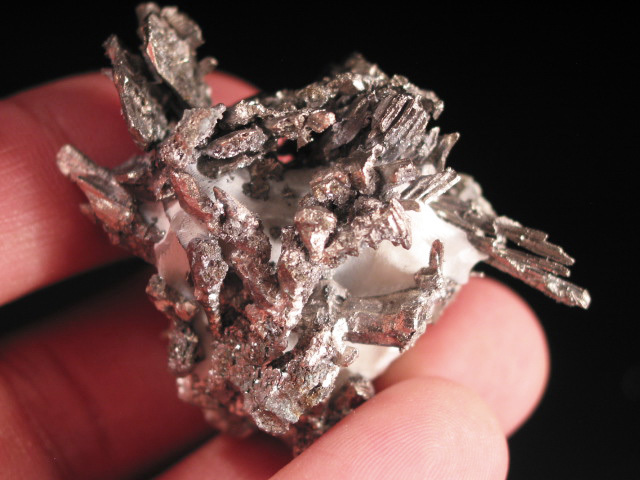 Typical examples from this country are either flattened sheets, or wires, and the wires are often grown by heating acanthite specimens. 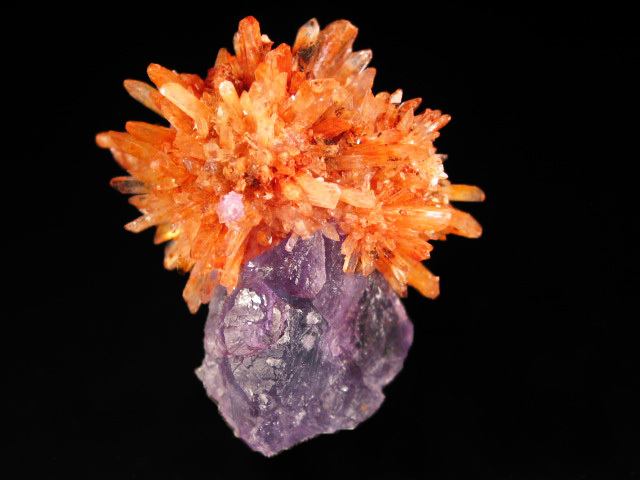 This is particularly nice, especially for the price. 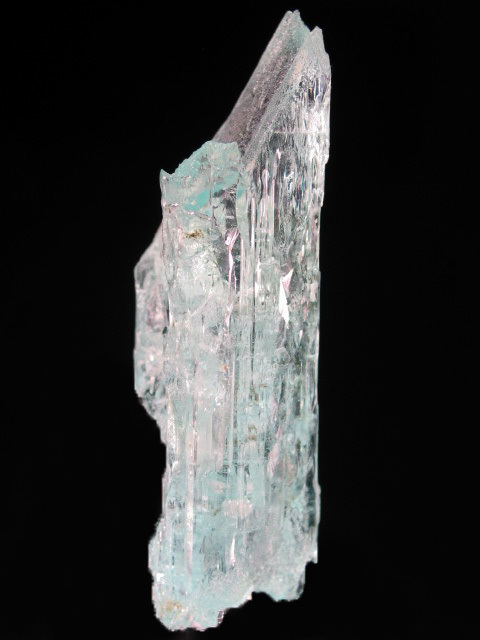 A beautifully etched floater crystal of aquamarine, from the Northern Areas of Pakistan. 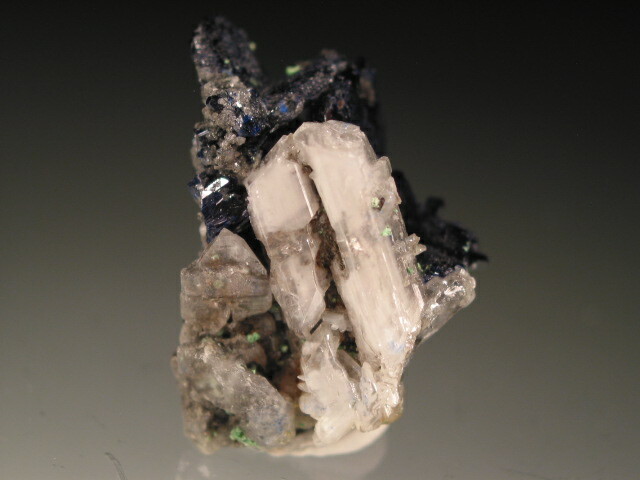 A nice small cabinet specimen, with a flattened fadden rising out of a matrix of other quartz crystals. 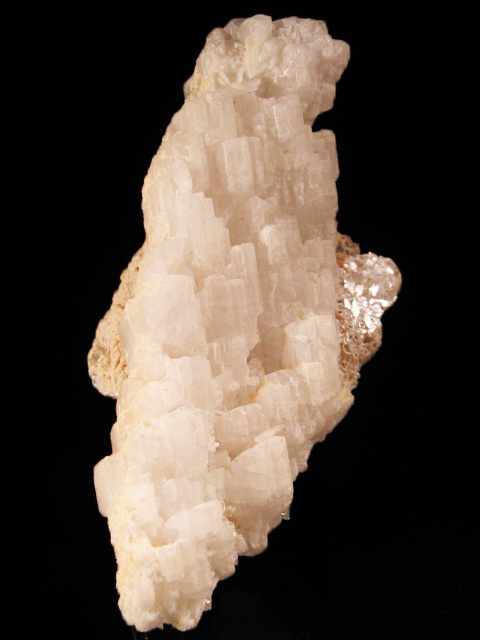 A very sharp and well balanced example of this material, from one of the most politically "hot" areas of Pakistan. 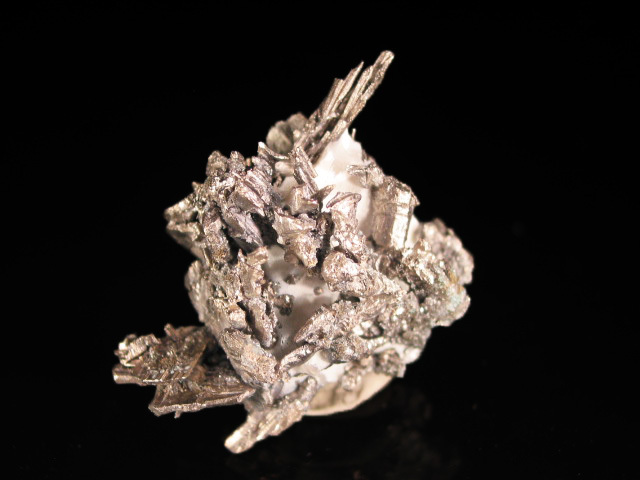 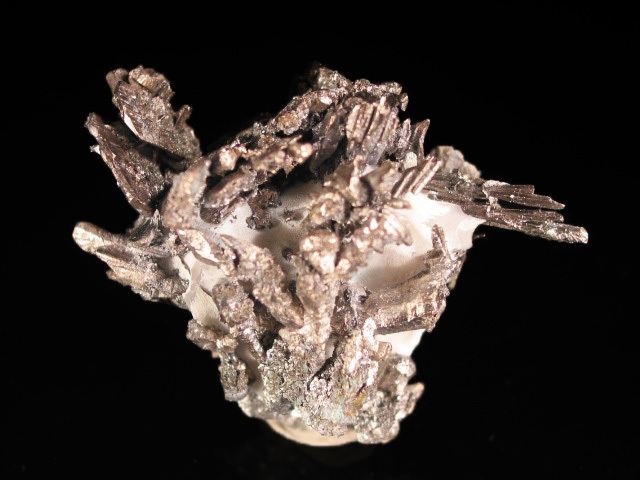 A nice cabinet sized example of this relatively rare sodium beryllium phosphate. 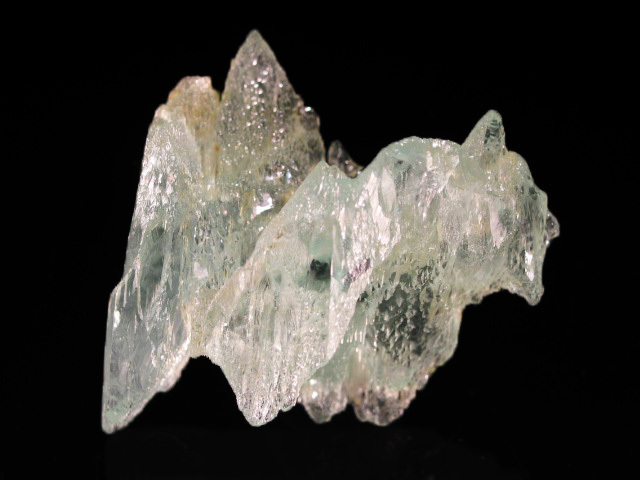 This piece has a complete, seemingly cascading crystal, resting on a muscovite book. 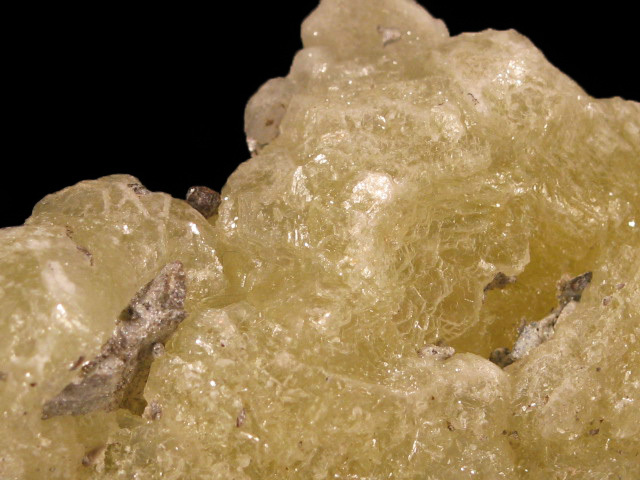 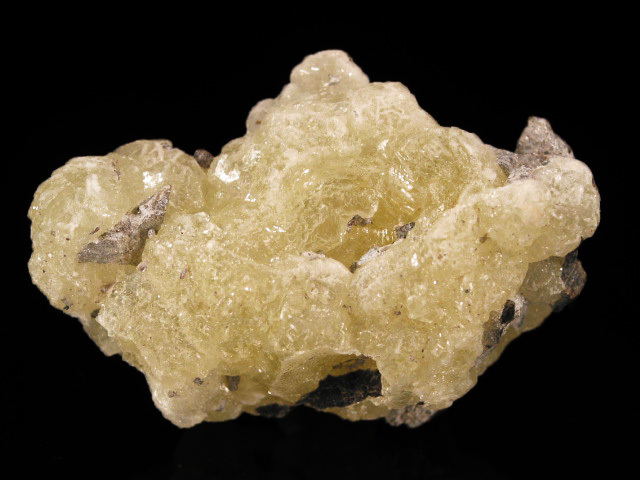 There is a partial overgrowth of albite or some other mineral concentrated on one side of the crystal. 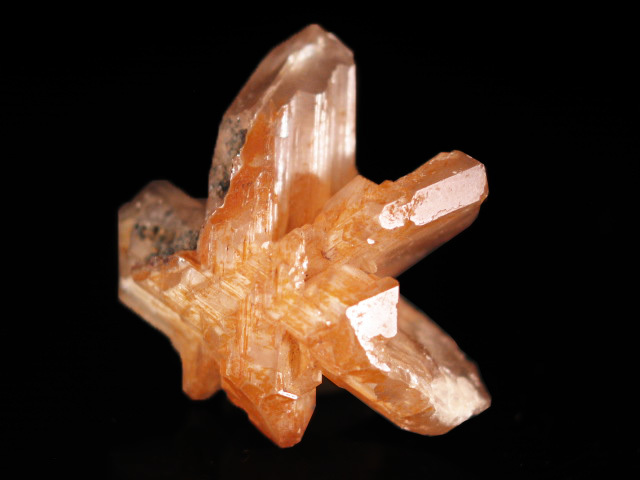 I liked this one because of the completeness of the crystal, and the presence of am interesting matrix-- usually examples from this area tend to look like white, matrixless cogwheels of varying sizes, frequently with significant damage. 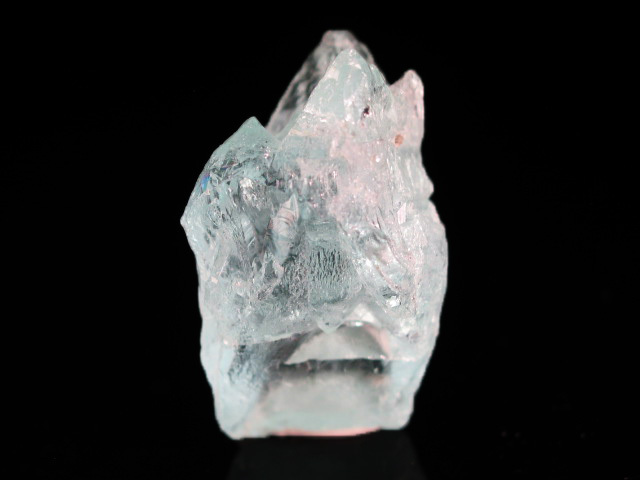 The only other places you are likely to see specimens from are Brazil or Maine, though those are generally smaller, with poor crystal form but better clarity. 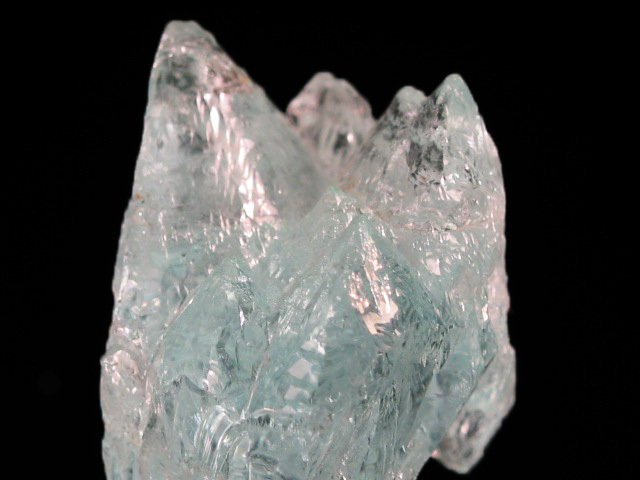 A floater crystal of gemmy, etched aquamarine with very good color and dramatic form resulting from light etching. 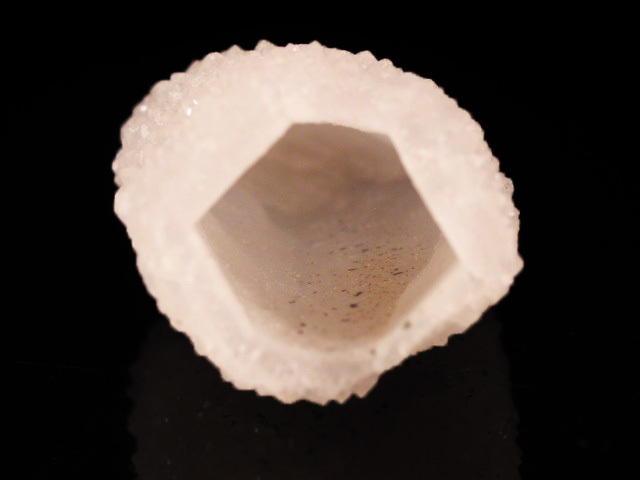 The termination has multiple points, making for an unusual (compared to all the standard hexagonal prisms) yet beautiful appearance. 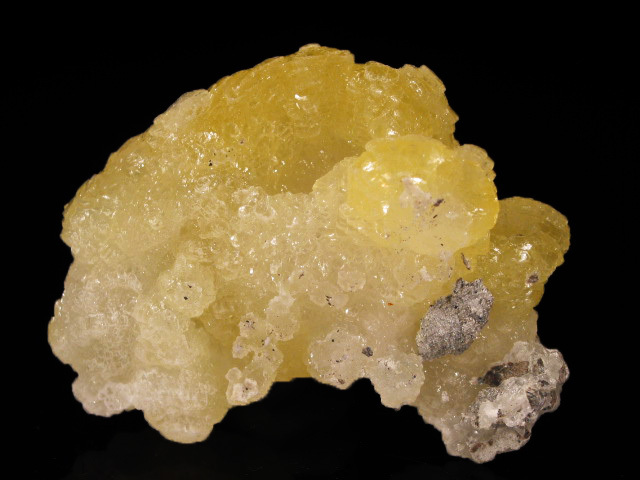 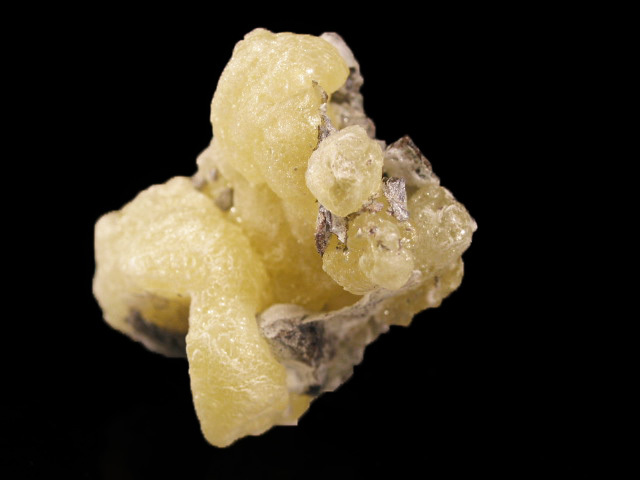 A very unique and unusual specimen from this locality-- a cast of quartz crystals left behind after the calcites on which they grew dissolved away. 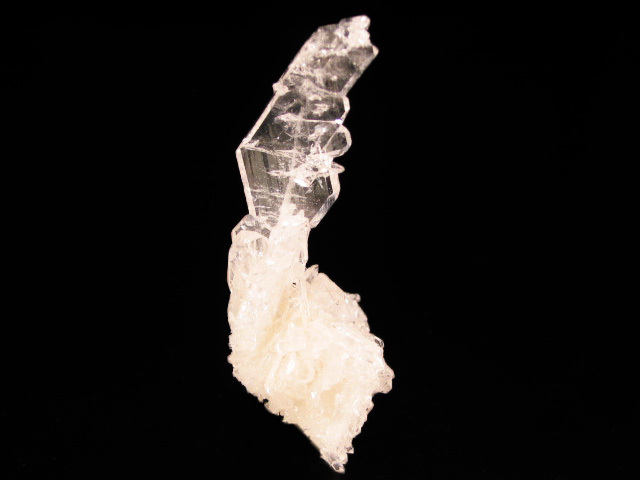 A very unusual specimen from this locality-- a cast of quartz crystals left behind after the calcite on which they grew dissolved away. 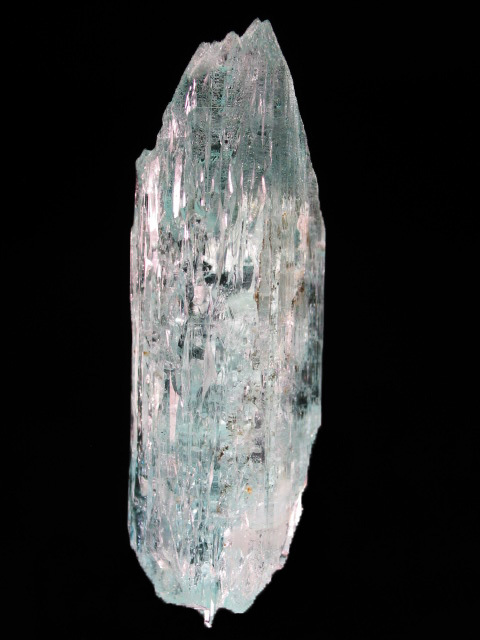 For the price, this is pretty good-- especially considering the size and clear form of the crystal. 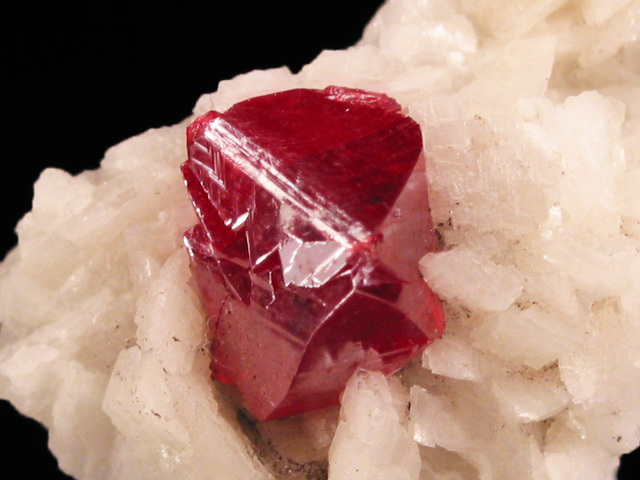 A nice example of cinnabar, with a twinned crystal nicely centered against a later of white dolomite. 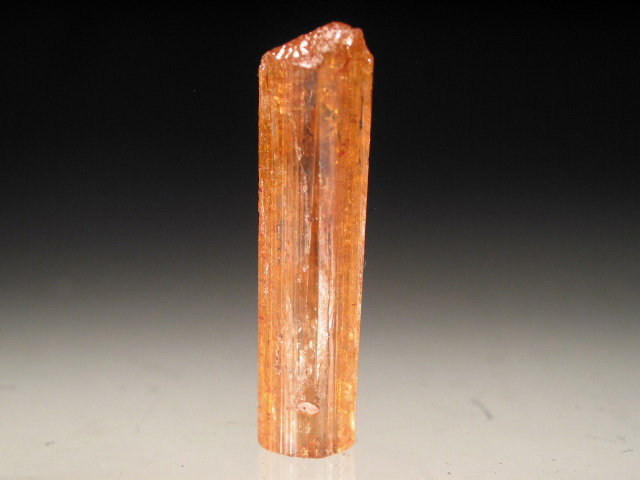 In the early 90's, these cinnabars were once quite plentiful and you would see them in the room of almost every Chinese dealer in Tucson, but these days they have become somewhat more scarce. 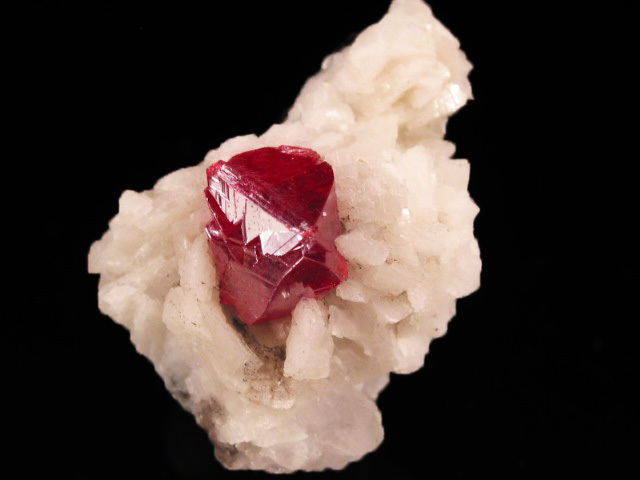 A excellent thumbnail specimen of cinnabar, with a deep red crystal nestled in constrasting white dolomite. 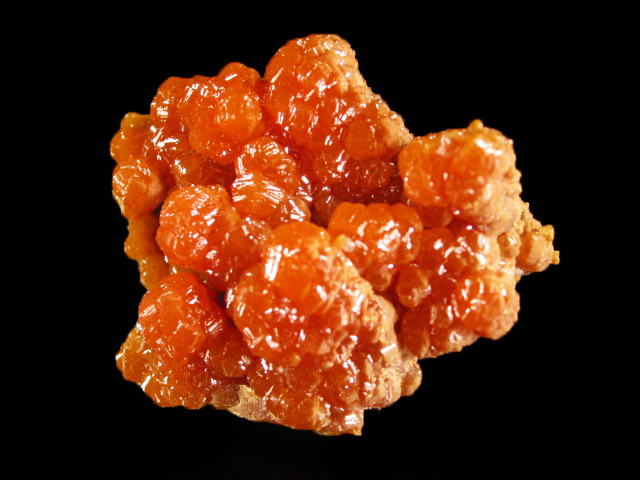 In the early 90's, these cinnabars were once quite plentiful and you would see them in the room of almost every Chinese dealer in Tucson, but these days they have become somewhat more scarce. 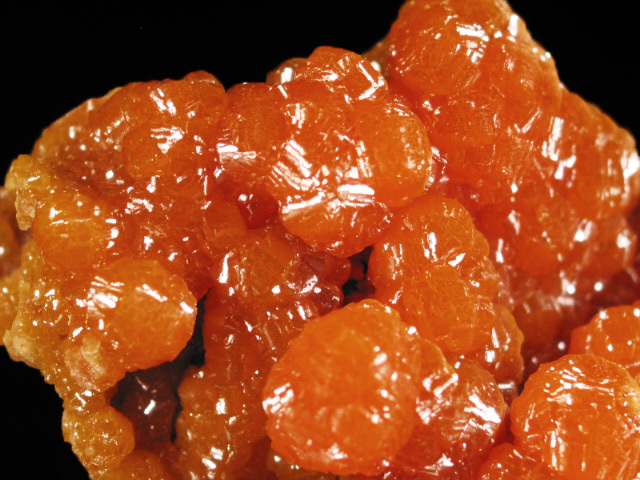 This is a very nice thumbnail. 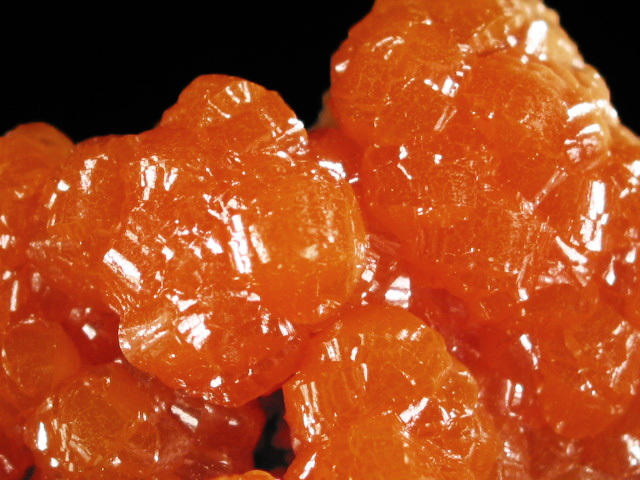 A quite rich example of this exceedingly rare mineral, collected from the type locality-- a fumarole on a remote volcanic island off the eastern coast of Russia, and close to Japan. 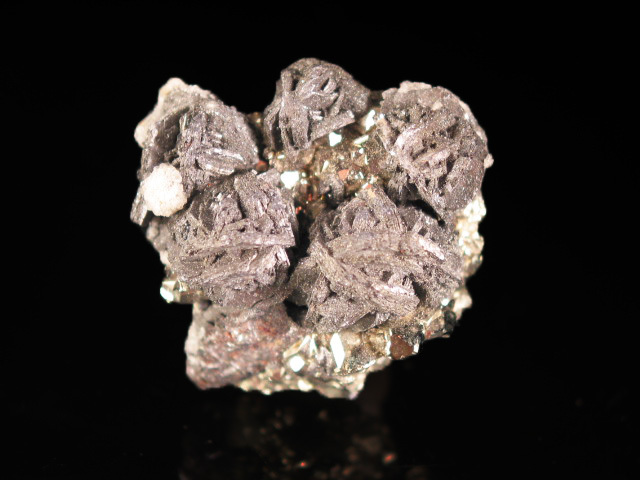 The rheniite on this specimen occurs as numerous tiny silvery specks on the display face of the piece. 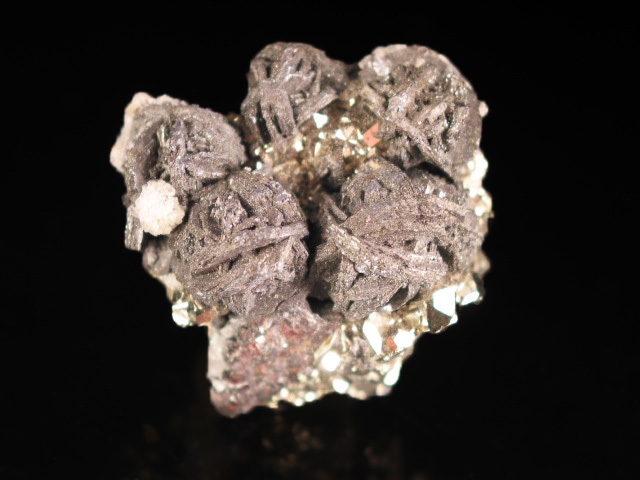 This is one of the few collectible (that isn't just a grain in a gel capsule) minerals that contains rhenium. 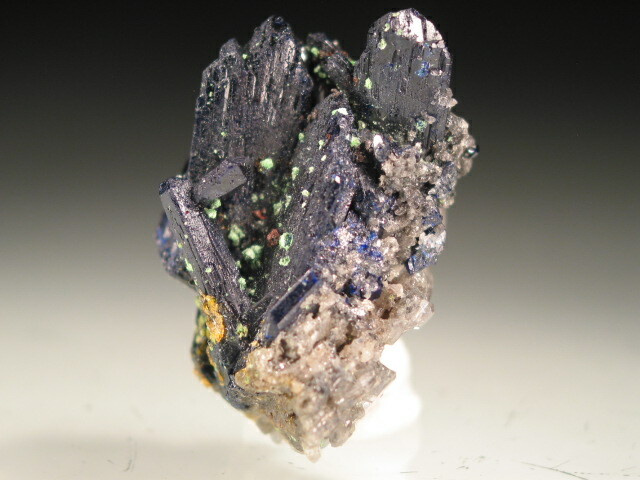 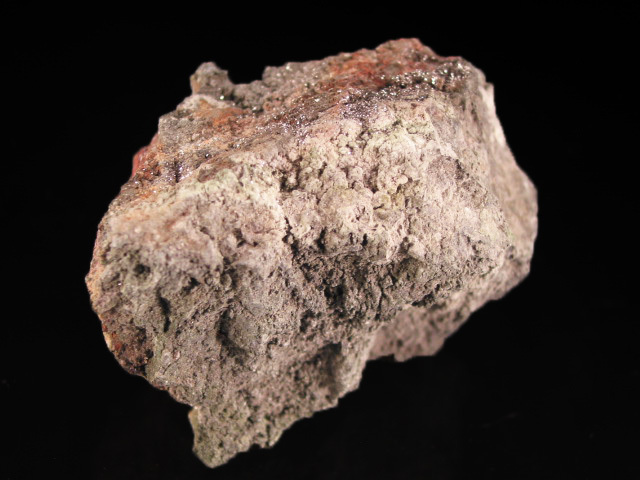 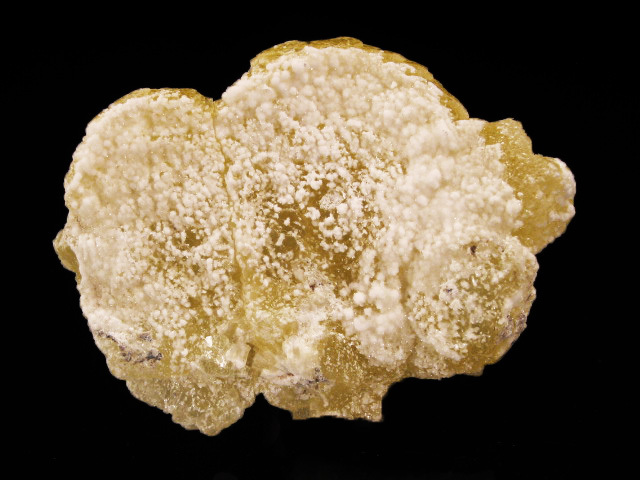 A rare example of wurtzite, cousin to the "other" more common zinc sulfide, sphalerite. 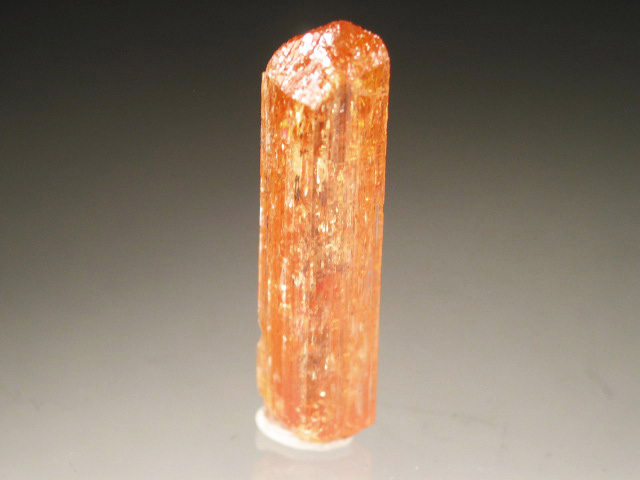 Although recent finds in Tanzania have reset the standard for the species, this remains an exceptional and exceedingly uncommon example from Peru. 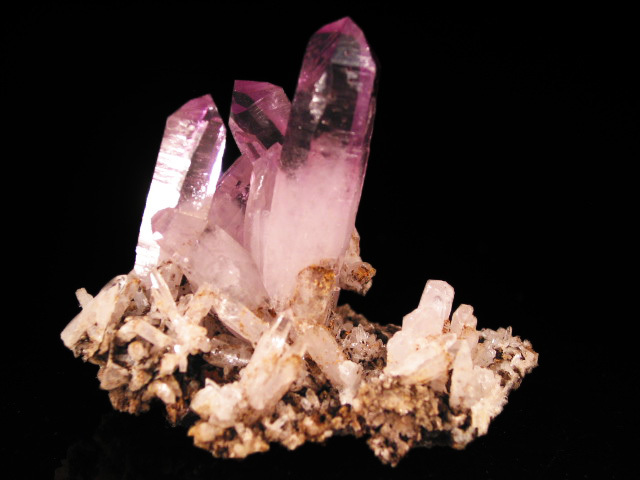 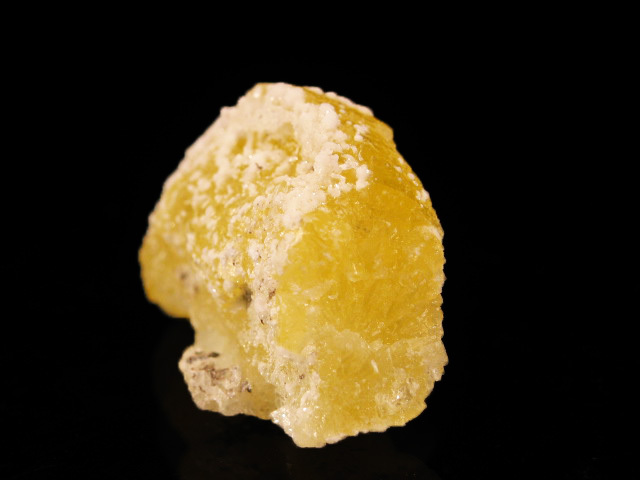 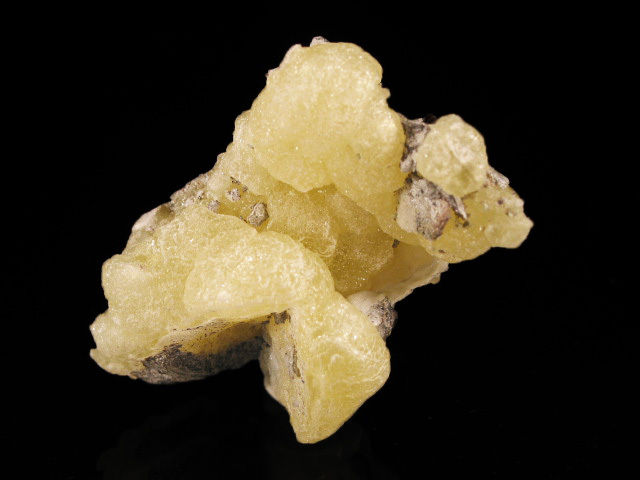 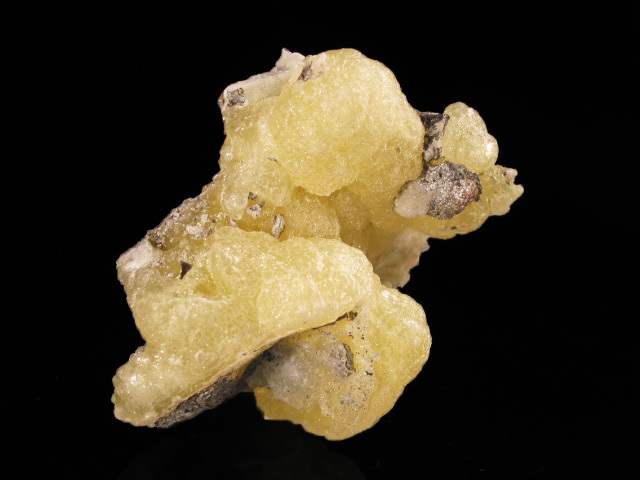 I've seen pieces from neighboring Bolivia, but the couple I have seen from Peru have been generally poorly formed, or the wirtzite is just present as a sub-par accessory mineral. 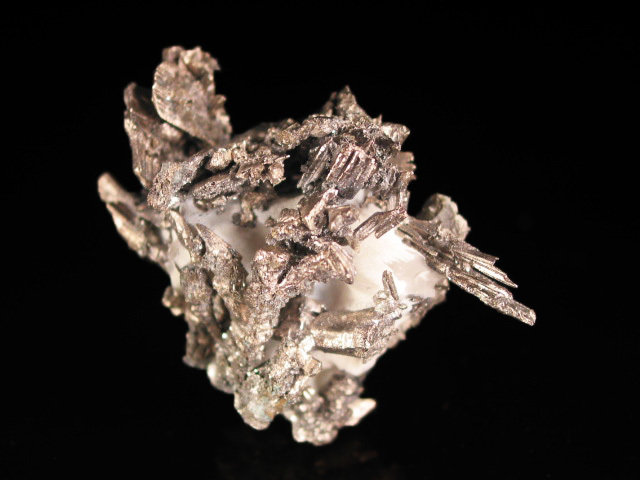 On this piece, the several wirtzite rosettes are front and center, and the bright and nicely contrasting pyrite matrix certainly improves contrast and adds to the aesthetics of the piece. 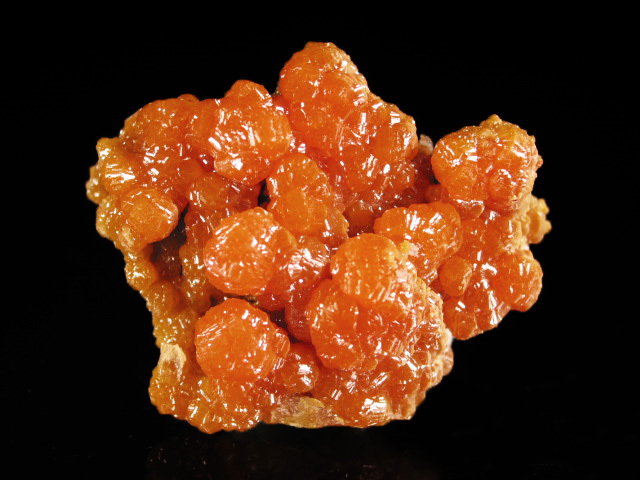 While it is found at a number of localities, the bulk of well crystallized samples (when you see them) come from the Bou Azzer region of Morocco. 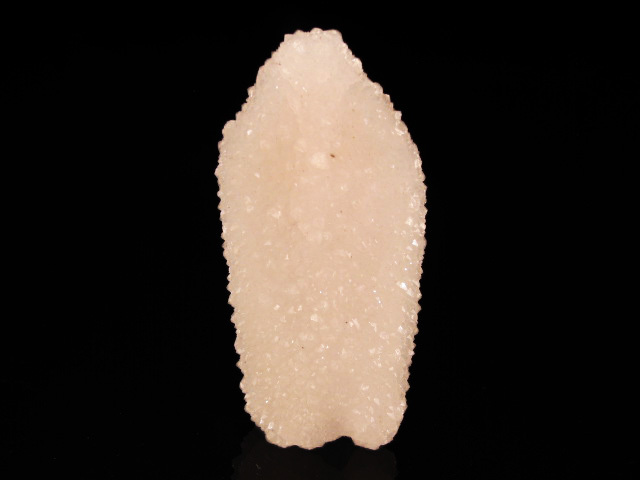 This year I saw 2 Moroccan dealers with examples of the species, I'm guessing these were fromt he find made last year, and even then there would not have been more than a few flats in total. 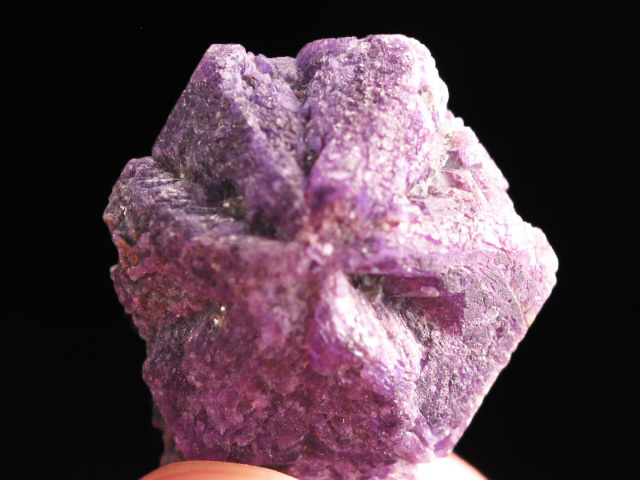 Most were in rather poor condition or way too large, but I did select one decent looking piece. 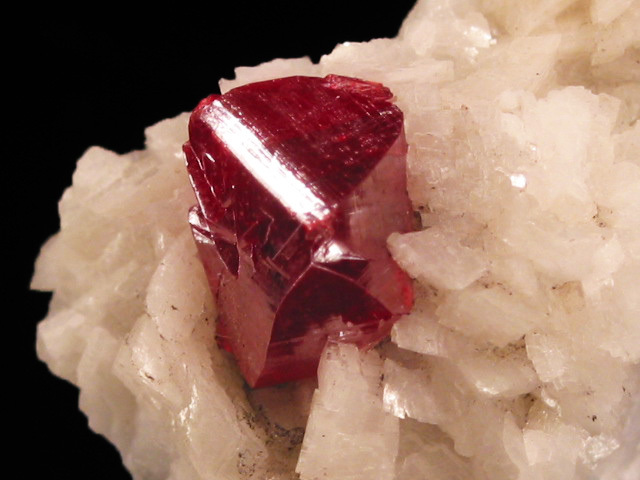 It's not perfect, but fairly sizable compared to what you would normally find, and the color contrast makes for somewhat better aesthetics. 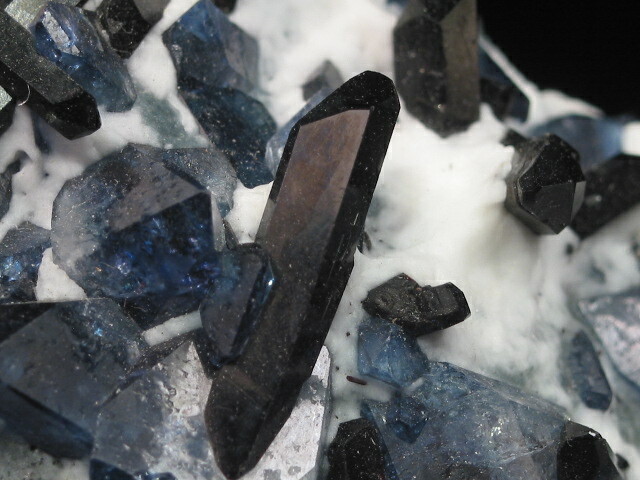 A nice and (i think) reasonably uncommon combination specimen from Tsumeb, hosting both dark blue arzute crystals, and a reticulated cerussite. 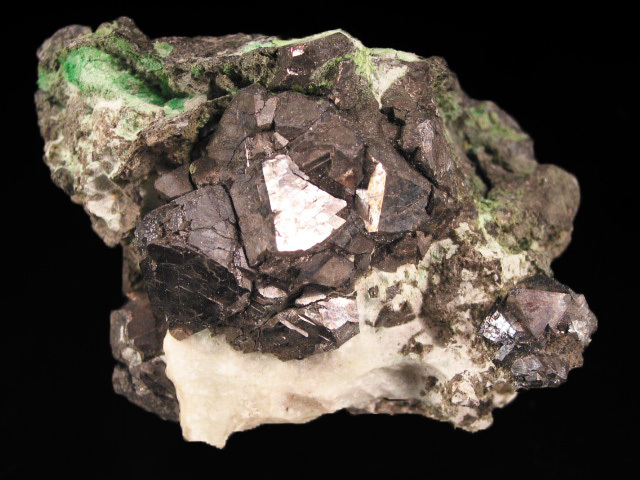 A very good small cabinet specimen of autunite from a small recent find in China. 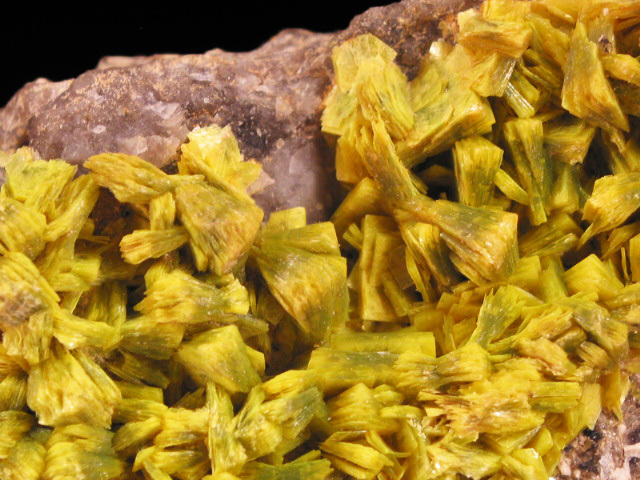 Unusual material, and one of the few opportunities to get a uranium bearing specimen from China. 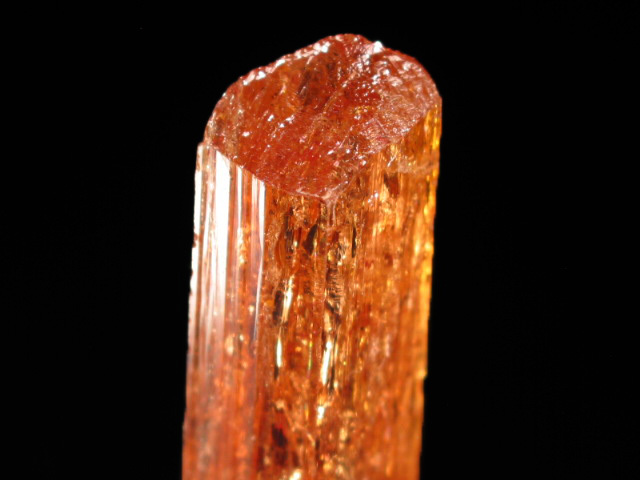 A nice example of imperial topaz, from Minas Gerias, Brazil. 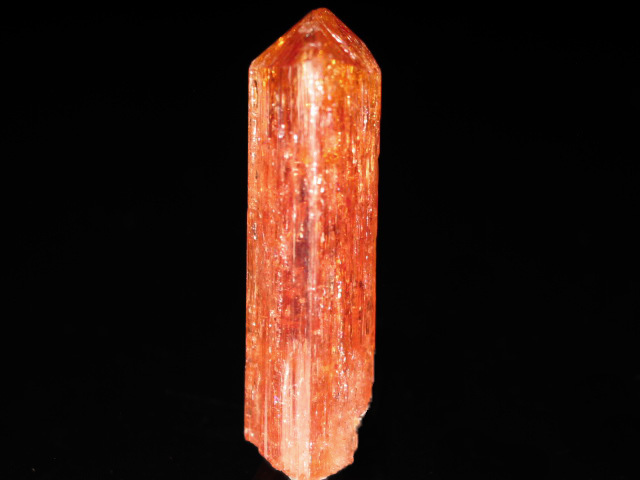 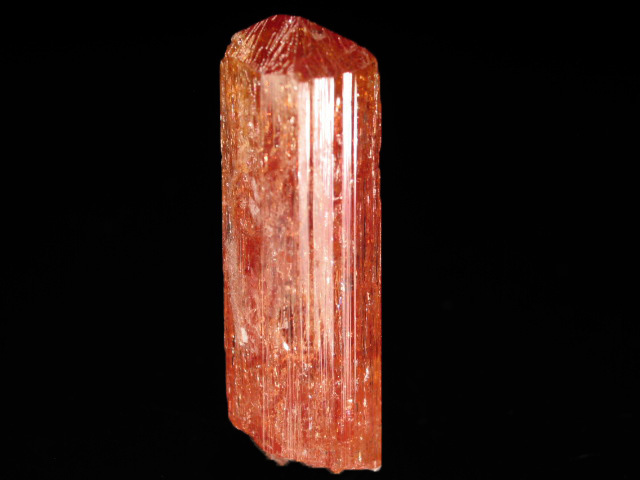 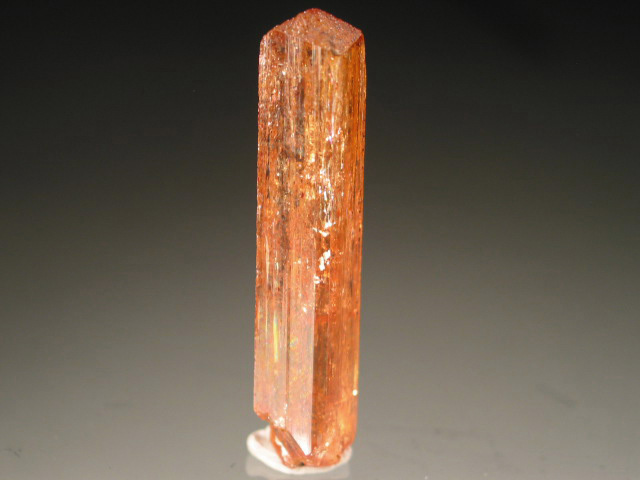 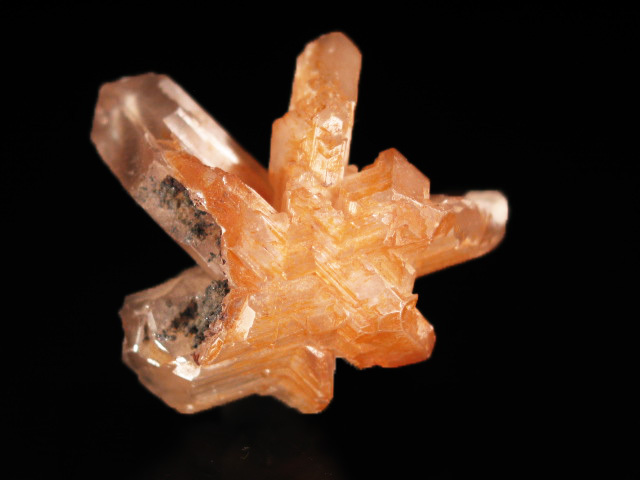 Topaz from this location is notable for its (natural) strong orange color and distinct elongated form. 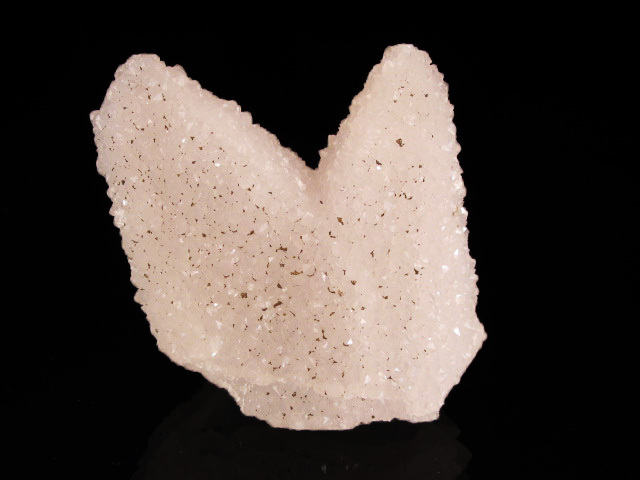 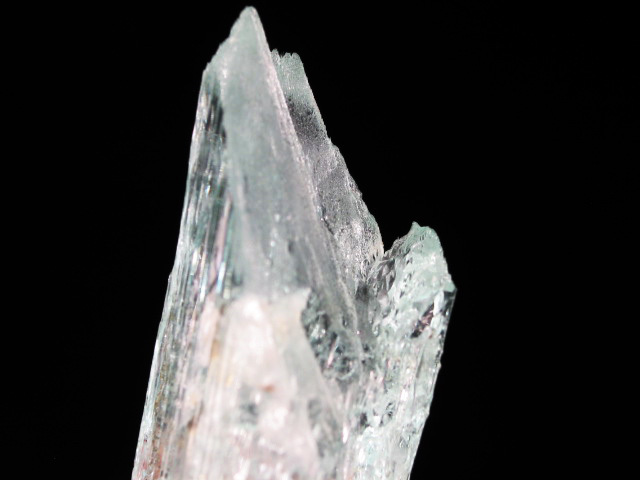 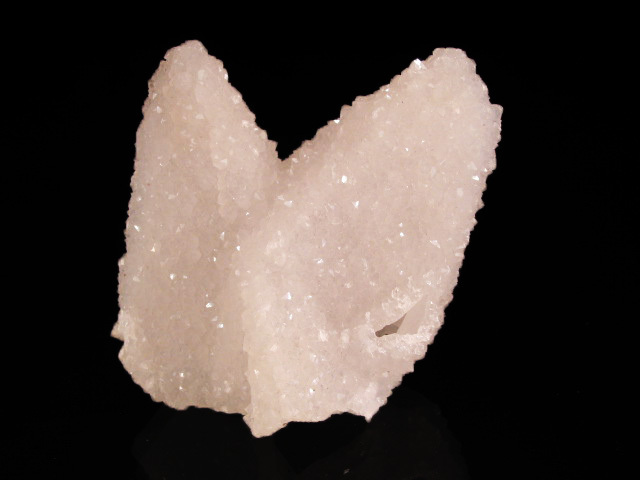 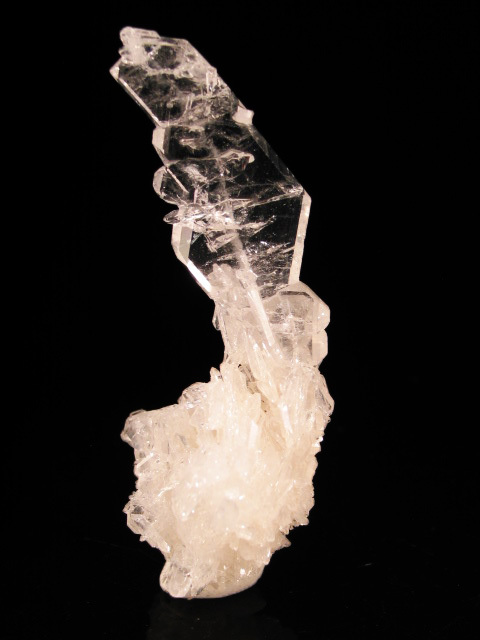 This crystal has a complete termination, sharp edges, an lustrous faces. A nice example of imperial topaz, from Minas Gerias, Brazil. 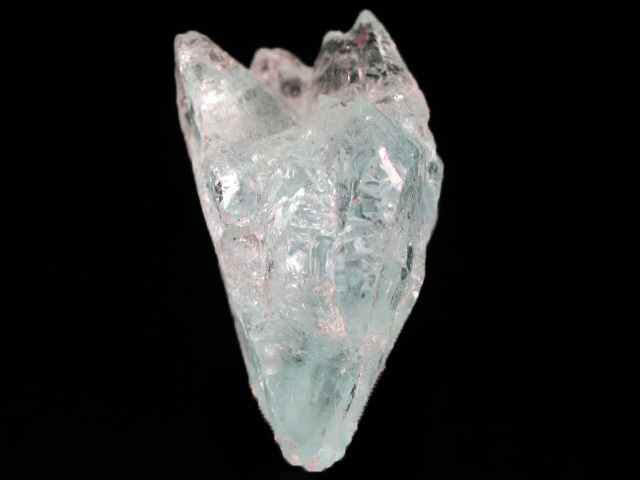 This crystal has a complete termination, sharp edges, and lustrous faces. 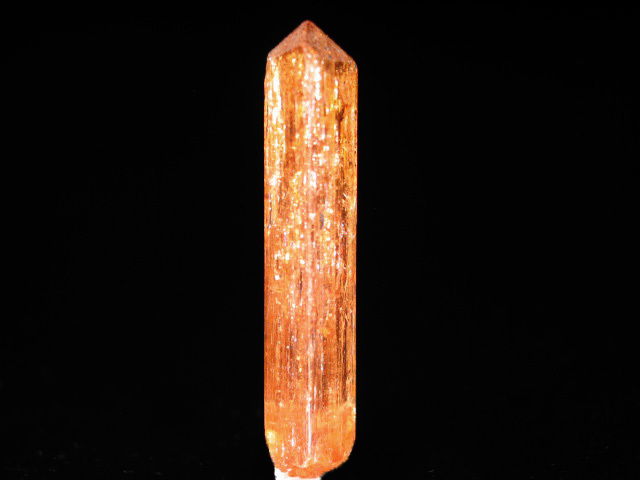 A nice example of imperial topaz, from Minas Gerias, Brazil. 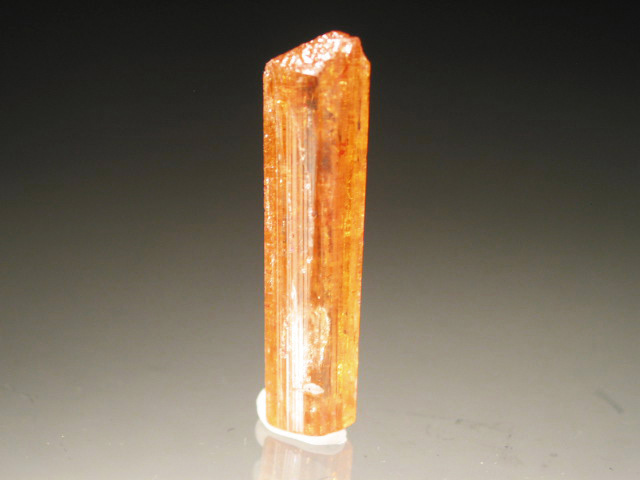 Topaz from this location is notable for its (natural) strong orange color and distinct elongated form. 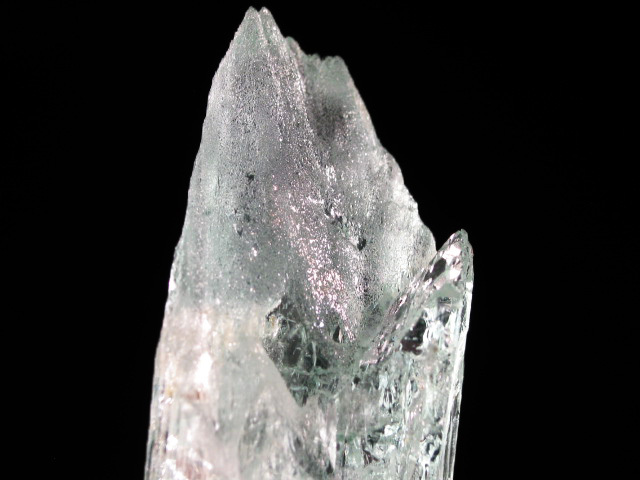 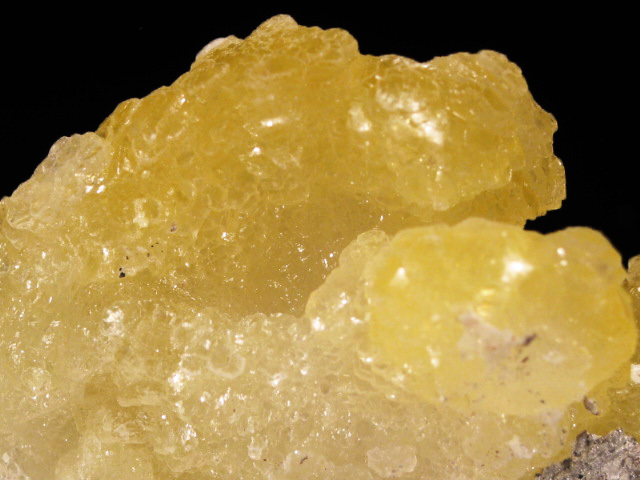 This crystal has a complete termination, and lustrous faces, though light reflecting off internal fractures make it look messier in the pictures. 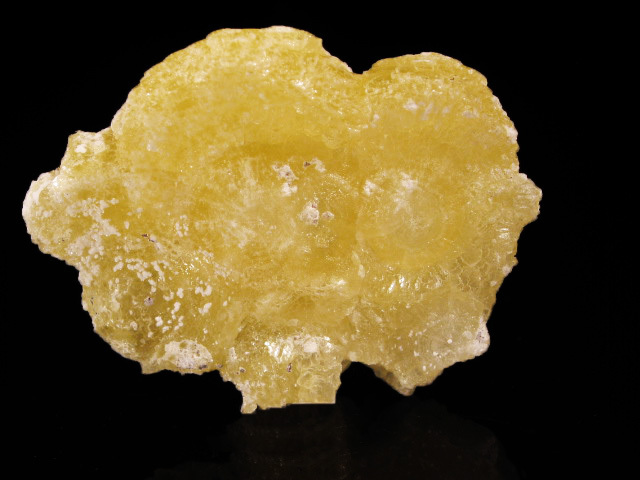 There are a couple edge chips. 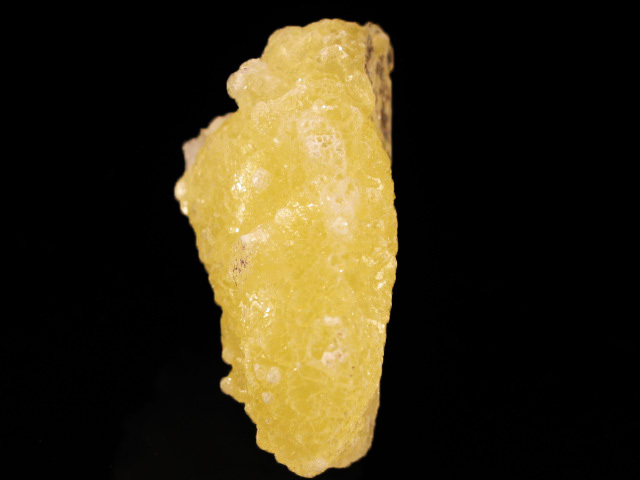 An excellent brucite specimen, from a recent Pakistani find that raises the bar for the species. 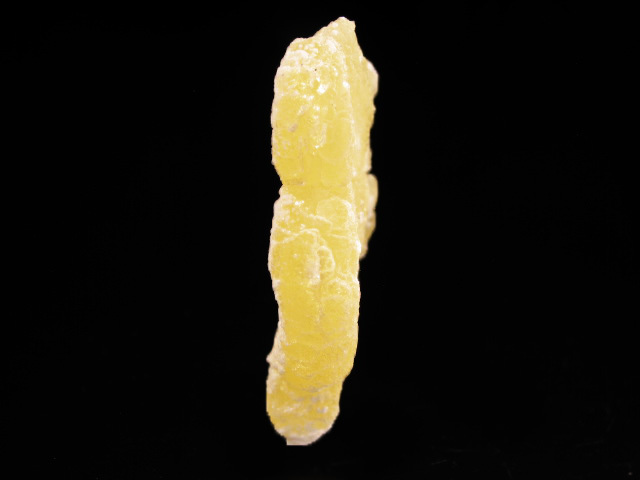 This one combintes good, bright yellow color and saturation, with excellent form. 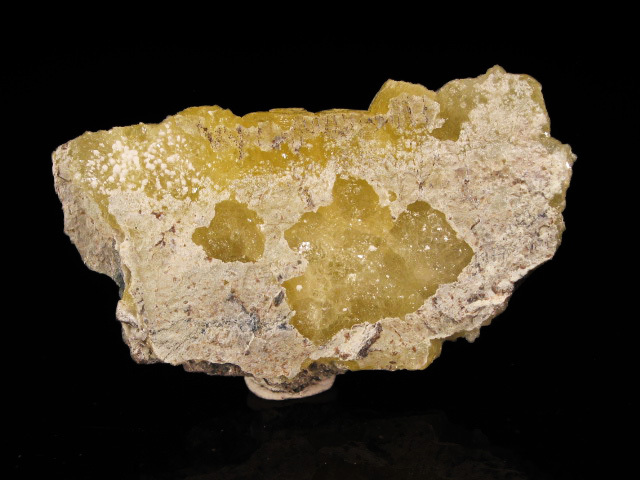 Brucite is not often seen as particularly attractive specimens-- perhaps the most famous are the antique pieces from Pennsylvania, but those generally lack the color saturation of this one (and are generally priced in the thousands of dollars.) 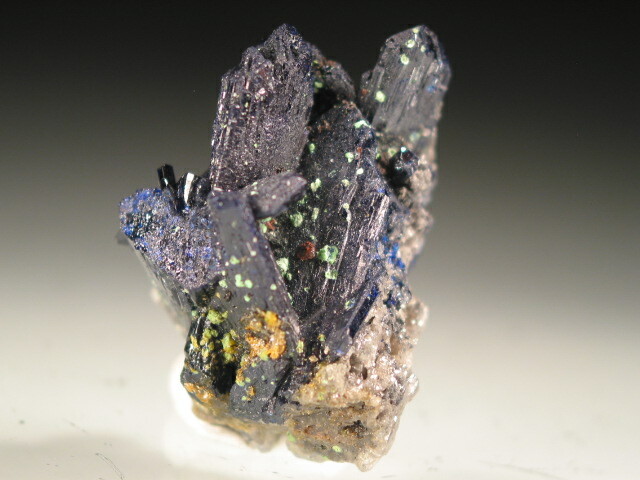 Aside from the Pennsylvania pieces, there are also examples from the Kalahari Manganese fields and from the Urals ( both are blue to whitish gray) though they seldom have the same richness or visual appeal, and none but the finest few have a color saturations as good as the new Pakistani examples. 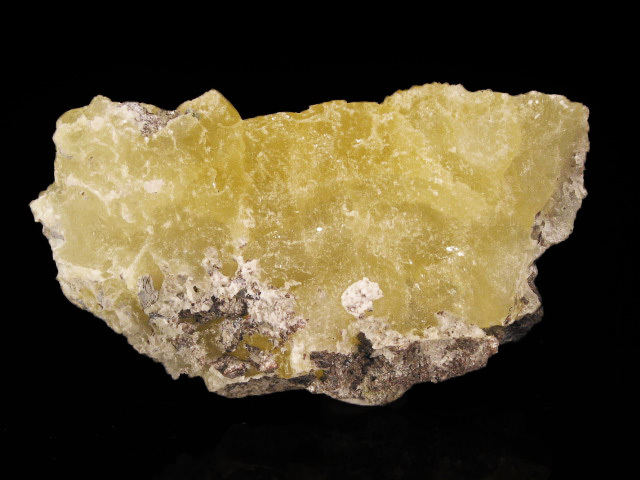 An excellent brucite specimen, from a recent Pakistani find that raises the bar for the species. 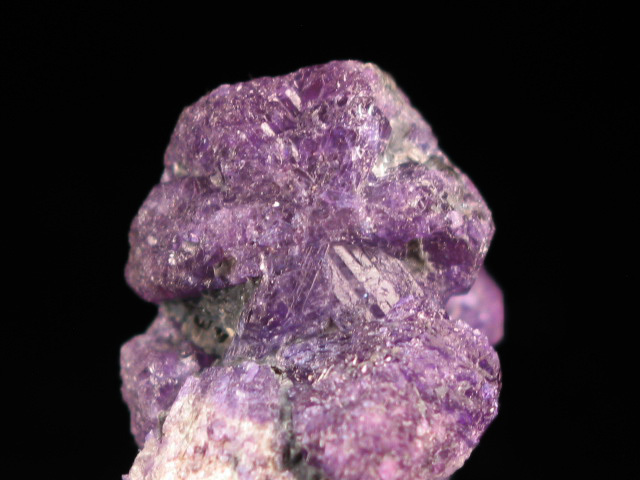 This piece is a flattened aggregate, composed of two main concentric growths with excellent color saturation. 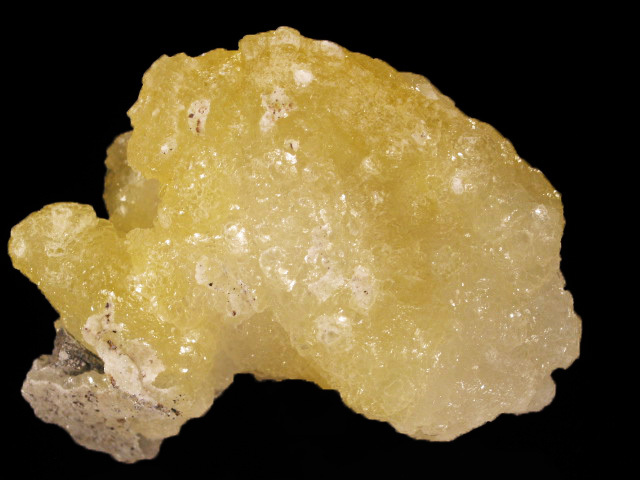 An excellent brucite specimen, from a recent Pakistani find that raises the bar for the species. 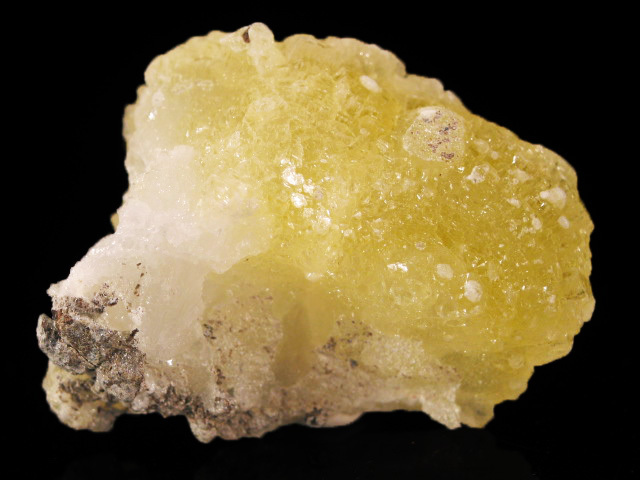 This one is a flat plate of yellow brucite, with good yellow color. 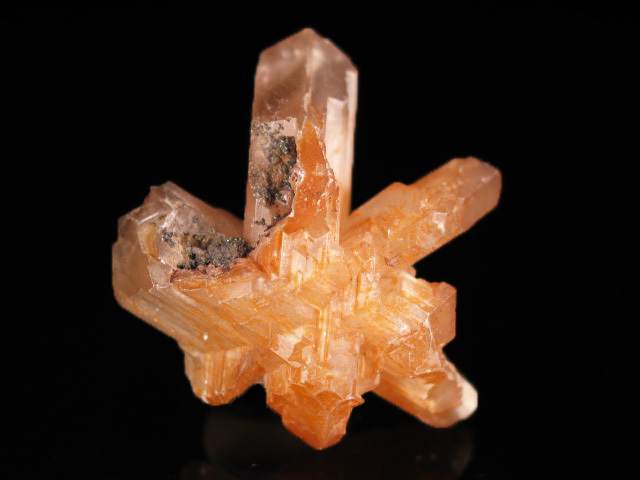 An excellent brucite specimen, from a recent Pakistani find that raises the bar for the species. 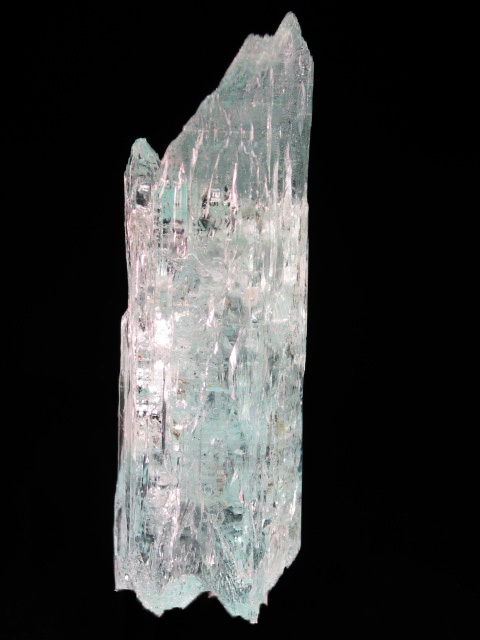 This piece has excellent three dimensionality and form. 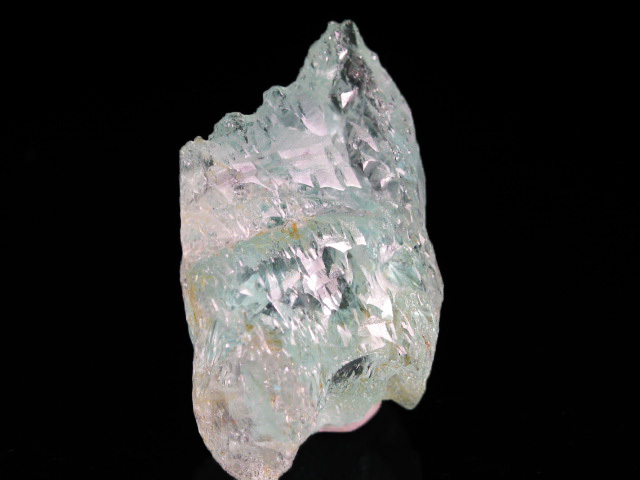 An excellent brucite specimen, from a recent Pakistani find that raises the bar for the species. 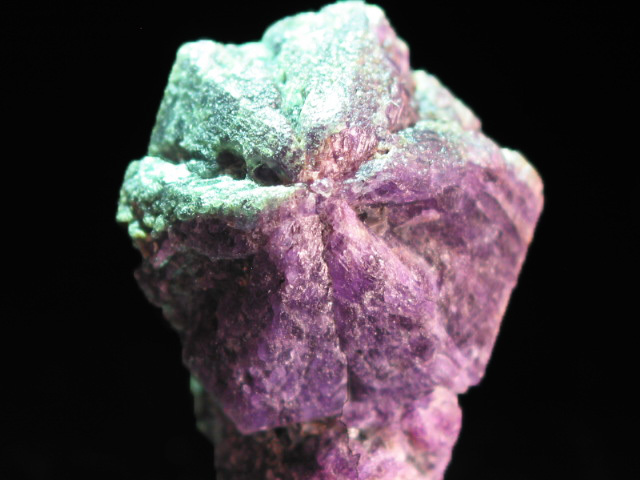 The color on this one is a little less saturated than on others in the update, but it has excelletn overall form. 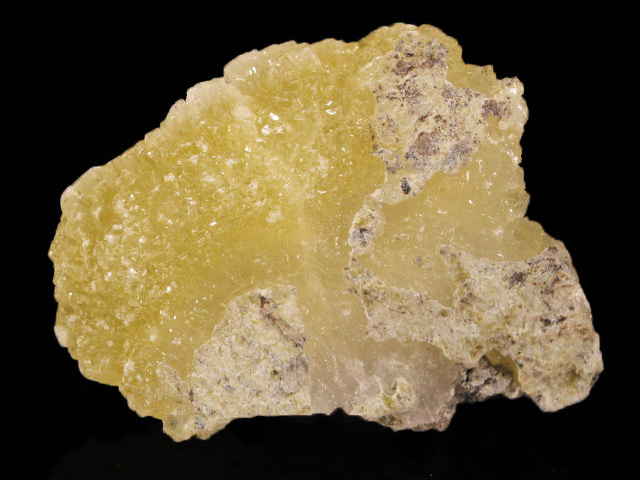 An excellent brucite specimen, from a recent Pakistani find that raises the bar for the species. 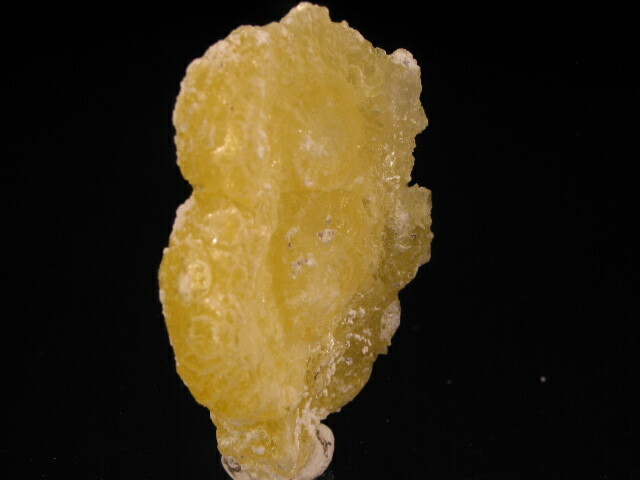 An excellent brucite specimen, from a recent Pakistani find that raises the bar for the species. 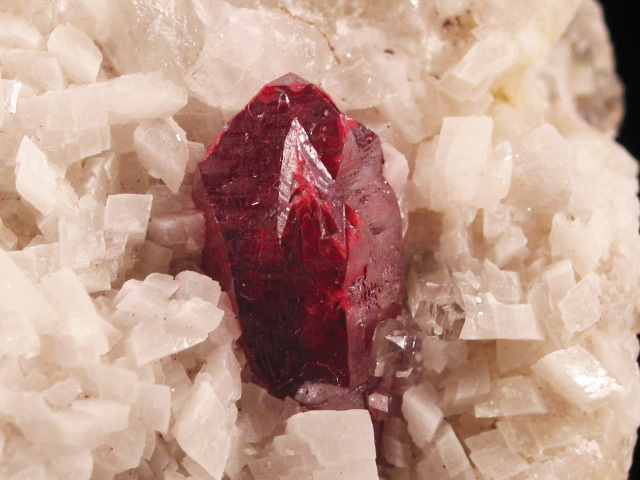 This one has the top color from the find. 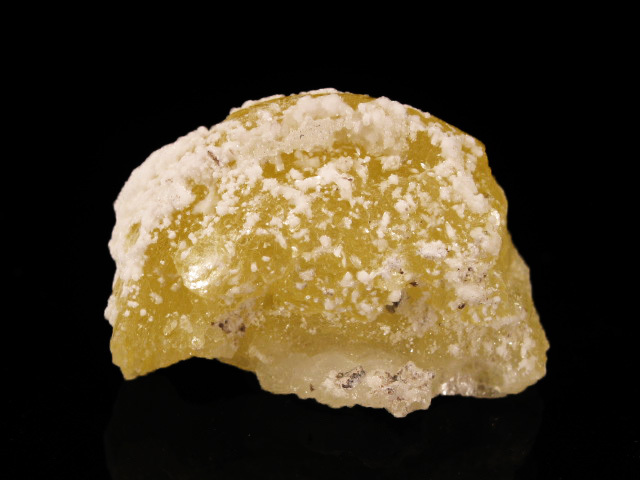 A decent brucite sample , from a recent Pakistani find that raises the bar for the species. 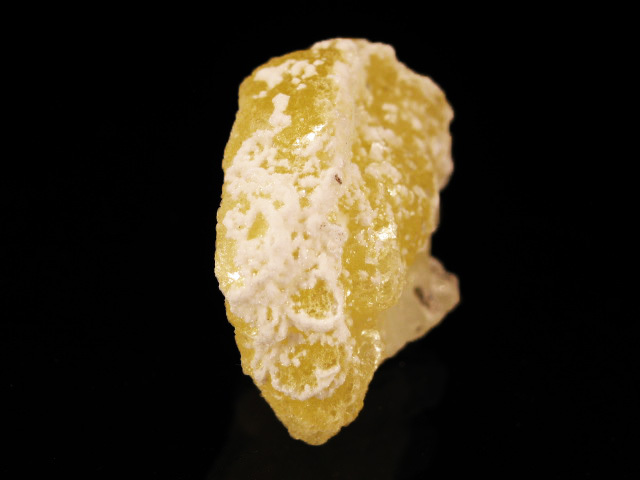 This one is more of a reference piece-- while large and almost entirely composed of brucite, it doesn't quite display the form of the others--it is almost as if it were part of a cast, hence the cheaper price. 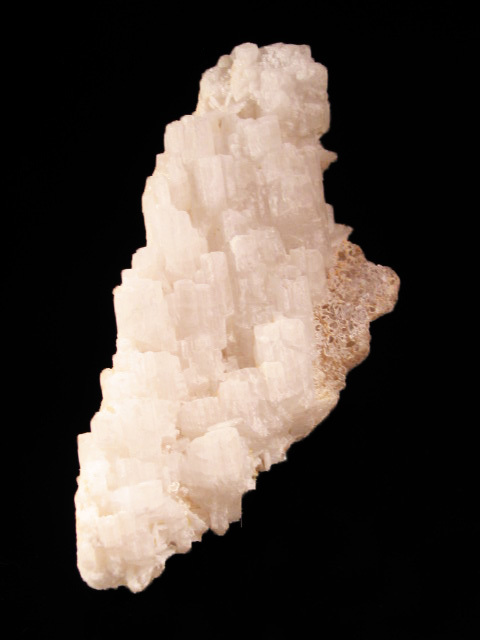 A beautiful little "toenail" sized specimen, unfortunately I could not get any reliable locality information. 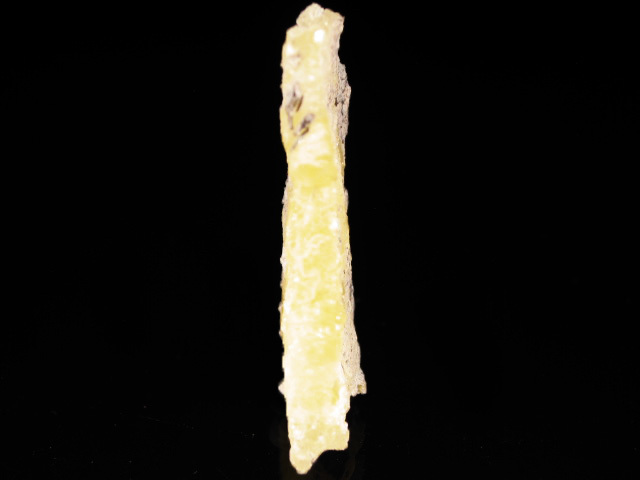 Contacted on reverse. 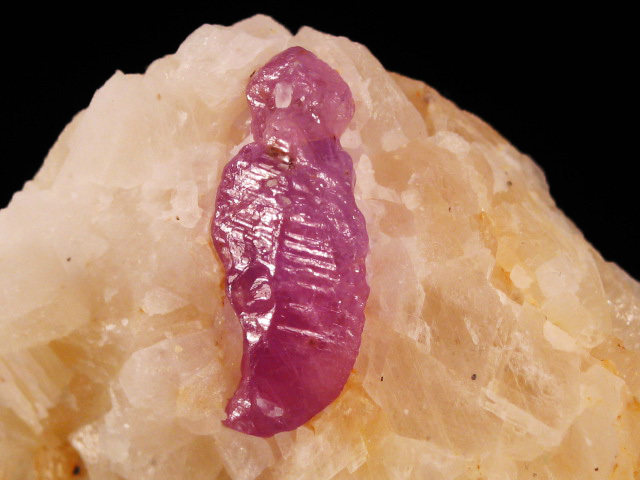 A nice little thumbnail example of an alexandrite sixling. 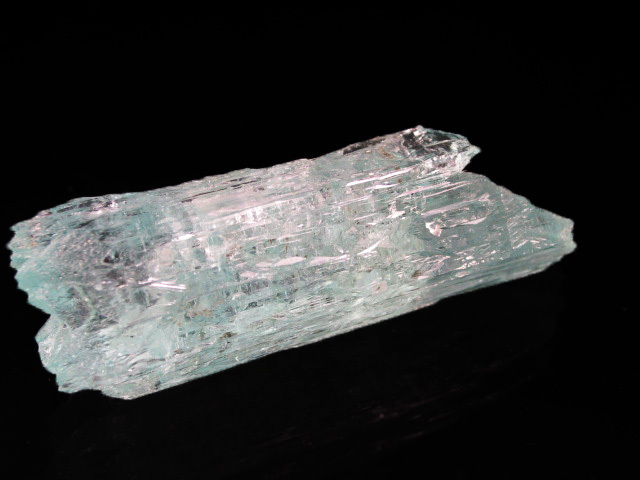 The color in the pictures is not representative at all-- I justpiced the photos that showed the form of the crystal best. 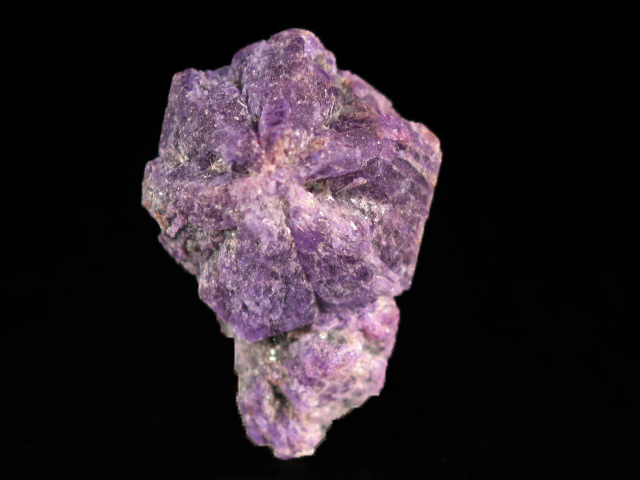 For whatever reason the camera exaggerates colors (notably purple) that you will not see nearly as strongly with the naked eye. 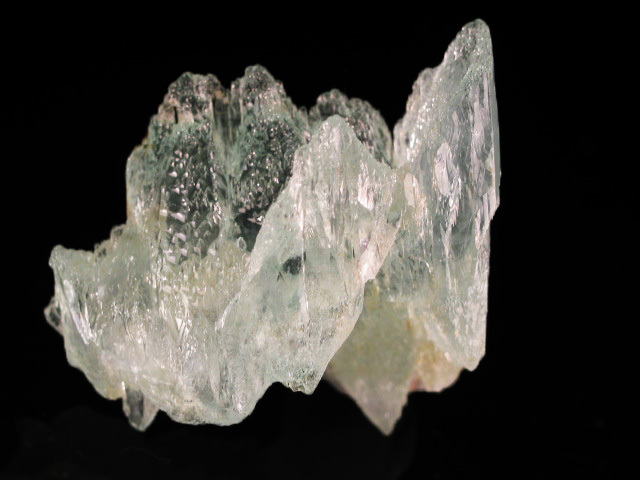 So: in normal incandescent lighting it appears a dull purplish-grayish green, the green color becomes more intense and grass like under daylight or daylight equivalent lighting.